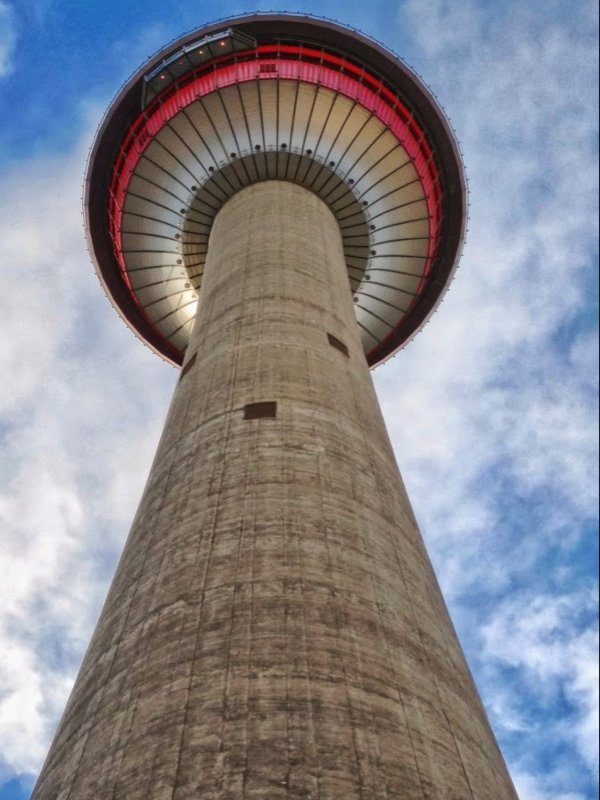 If you are visiting Calgary, perhaps new to Calgary or just want to get out of your shopping rut, here are some Everyday Tourist recommendations for uniquely Calgary shopping experiences. Even if you don’t like to shop, or don’t need to buy a souvenir each of these shops are interesting for their design, artifacts or the community that they are located in. 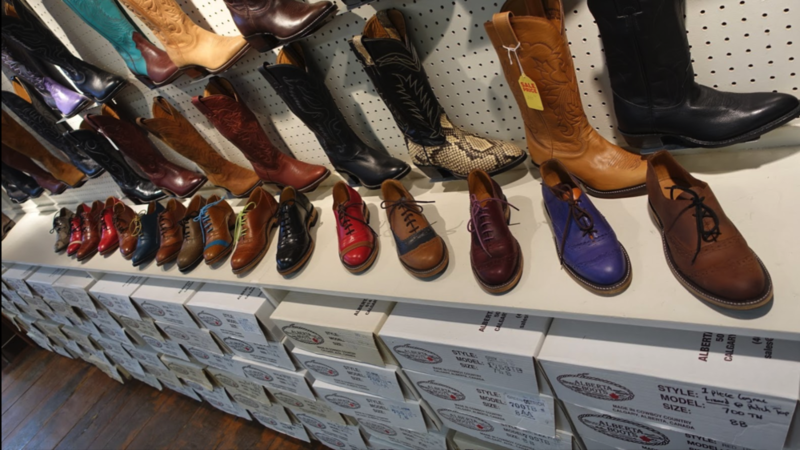 Perhaps the quintessential Calgary shopping experience would be to buy a pair of locally made cowboy boots from Alberta Boots. Clem Gerwing moved from the family farm in Saskatchewan to Calgary in 1963 and purchased a wholesale footwear company. For several years he sold Quebec, Mexican and American made boots. Not happy with the quality, he decided the world’s best boots should be made in Calgary and so Alberta Boots was born in 1978. The Gerwing family has since made boots for the likes of Will and Kate (yes, THAT Will and Kate), Tom Selleck, Brad Pitt, Kevin Costner, Owen Wilson, Jake Gyllenhaal, Fred Couples, Jerome Iginla, Gordie Howe, Paul Brandt, Keifer Sutherland and many other big names. Their huge store and factory in Calgary’s up and coming Manchester district is definitely worth a visit. And a surprise – they don’t just make cowboy boots now! Who would think the little building with the blue awning on the TransCanada Highway (aka 16th Ave N) is home to one of North America’s best antiquarian bookstores? Aquila specializes in books dealing with polar expeditions, Western Canadiana, mountaineering and the Canadian Pacific Railway. 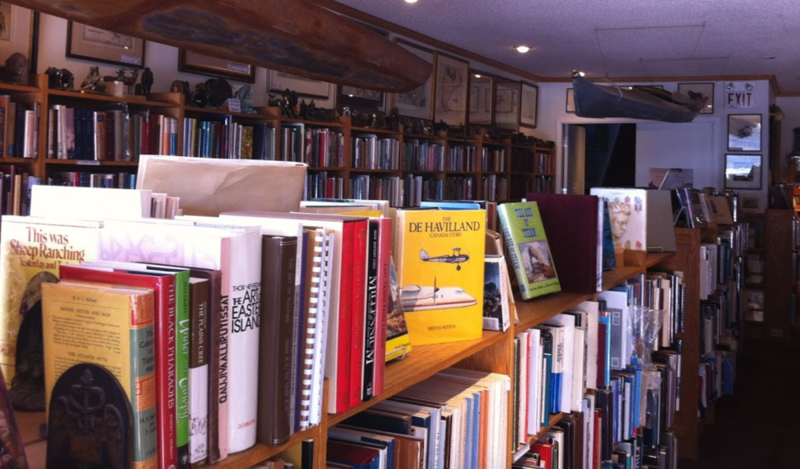 As much a museum as a bookstore, it is filled with antique maps, prints, photos, letters, postcards, scientific instruments and even an Inuit kayak hanging from the ceiling. It is well worth the visit if you love history and/or books. If you like eye candy, you will love Circa. 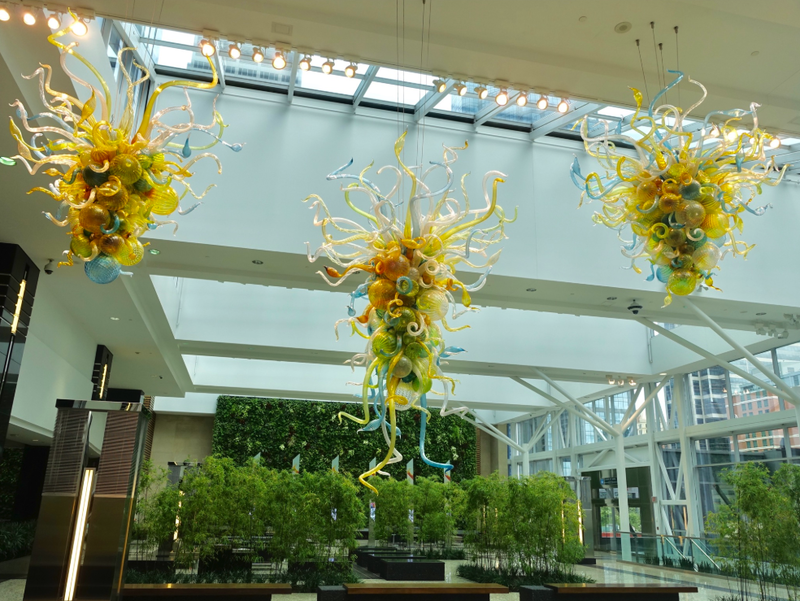 Owner and curator Brian Imeson has created a one-of-a-kind gallery in Canada that showcases mid-century modern art glass from around the world. 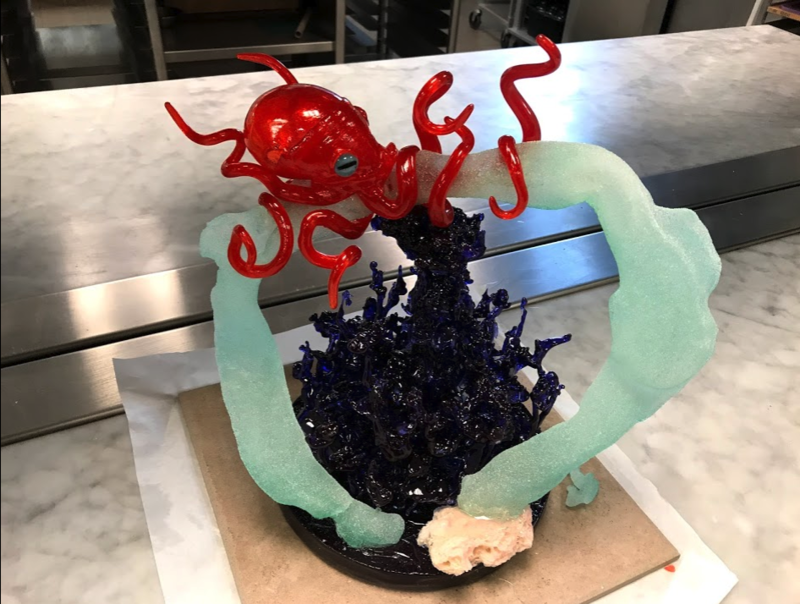 A visit to Circa is an educational experience, as Imeson is more than willing to spend time sharing his vast knowledge of European art glass. A souvenir from Circa is something you will enjoy for a lifetime. You could easily walk by the Crown Surplus site thinking it is just a junk shop filled with old army surplus equipment - not that there is anything wrong with that. Established in 1953 originally as R&S Surplus, Crown Surplus has a long history of selling decommissioned army equipment. But inside there is so much more. 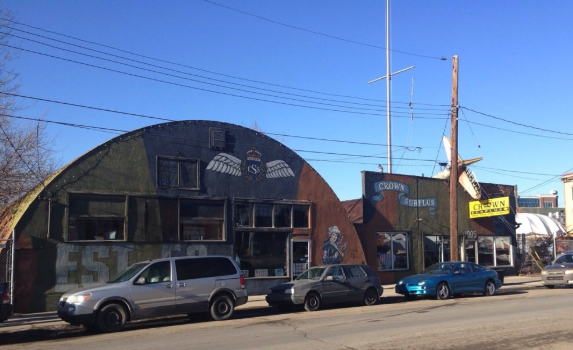 It is a military treasure hunters dream with stuff hanging from the ceiling and stuffed into every corner, but you can also find great outdoor clothing and equipment deals. 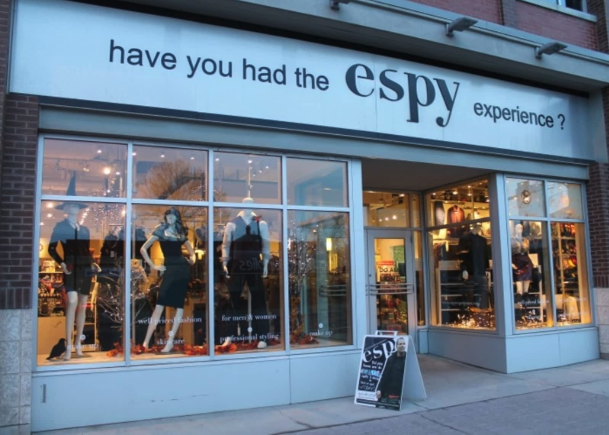 Located in the timeless Atlantic Avenue Arts Block, espy is an affordable fashion boutique for women and men. The staff pride themselves on being able to find their clients – no matter their size or age - the perfect pair of jeans. They specialize in the difficult, by carrying sizes from 00 to plus 16 for women and special sizes for men with long arms and long legs. 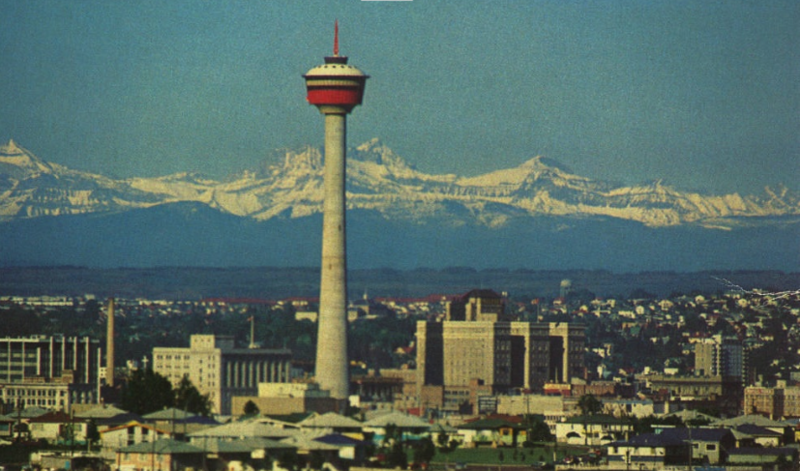 Could there be a better souvenir of Calgary than a perfect fitting pair of blue jeans? And yes, they’re more than just jeans. 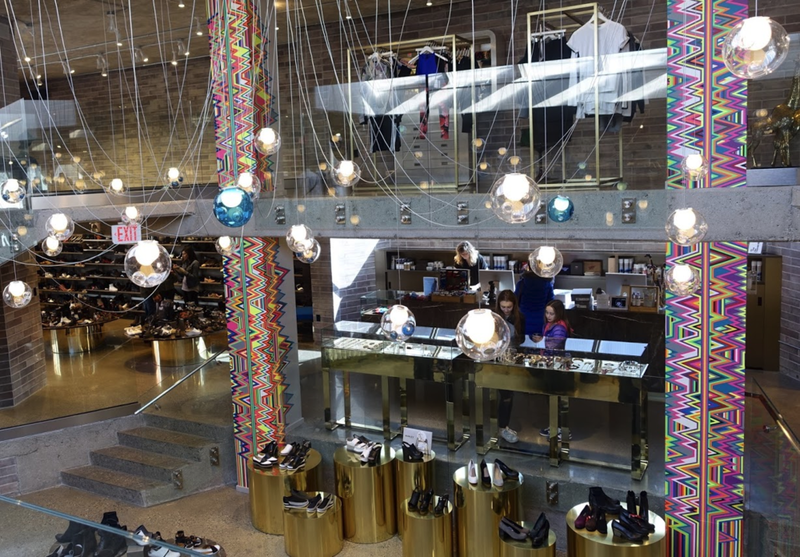 Gravity Pope is a must visit for anyone interested in fashion and interior design. The open multi-level floor plate with its 70s psychedelic design is simply dazzling with mirrors everywhere reflecting the light and objects to create a magical mystery tour. A commissioned colorful art installation by artist Kristi Malakoff embellishes the visual feast. And then there are 200 footwear brands displayed on pedestals like works of art. 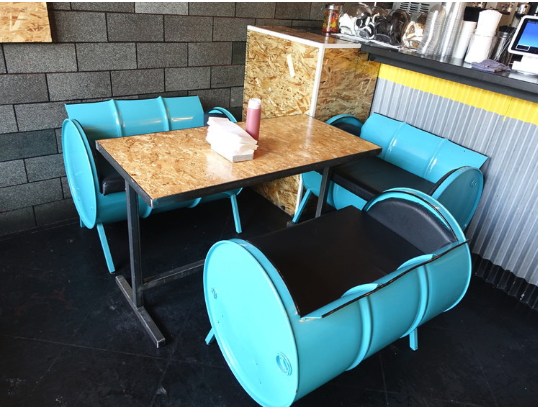 It is like an art installation that you might see at a major contemporary art gallery in London or New York – but this is one where you can take a “piece” home. Here you will find not only vintage vinyl, but new and out-of-print music, rare concert tour and gig posters, photos, movie posters and just about anything “music.” Holger Petersen of Stony Plain Records says, “Heritage Music has the best collection of Blues, Folk, Roots and Jazz records in Canada.” I don’t argue that. Need a good axe? How about an old fashioned straight razor? You can get these and lots more at Kent of Inglewood man’s man store. 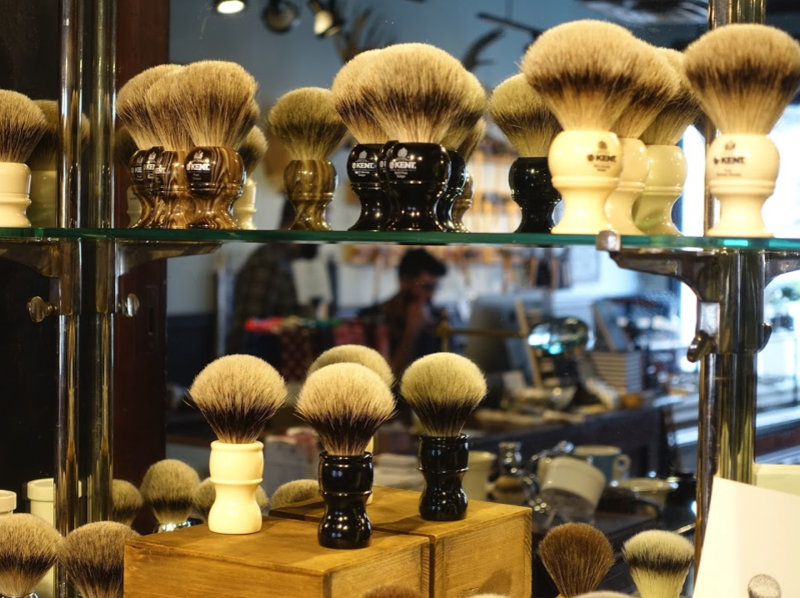 Check out the Kent of Inglewood Boar Bristle Beard brush or their badger hair shaving brush. There is also a barber on site where you can get a shave and a hair-cut, while others are exploring the shops of Inglewood. And yes, they have an entire wall of axes…. warning don’t try to shave with them. And yes, they do offer shave classes. Across the street, along Inglewood’s main street you will find Knifewear’s museum-like flagship store that opened in 2008. 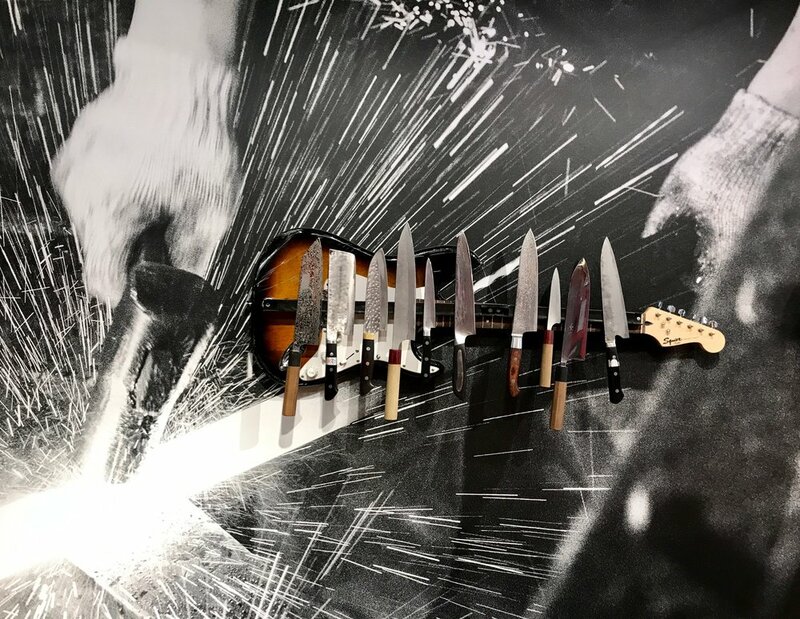 Owner Kevin Kent, (he also owns Kent of Inglewood), first fell in love with Japanese knives while working a sous-chef for the legendary chef Fergus Henderson at St. John’s restaurant in London, England. Upon returning to Calgary in 2007, he began selling knives to Calgary chefs out of his backpack on his bike. Today, he visits Japan a couple of times a year to learn more about the ancient art of knife-making and meet directly with the blacksmiths. His staff are both enthusiastic and very knowledgeable. 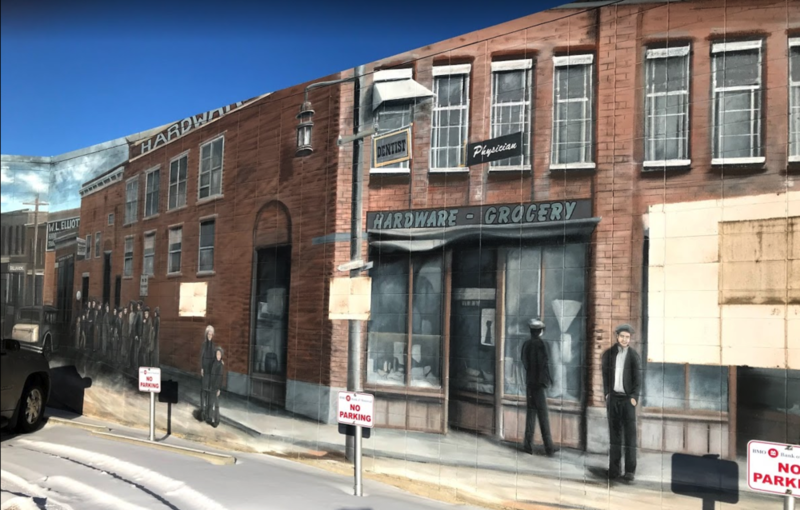 The dynamic mural on the wall is worth the visit alone. A Japanese knife will surely impress friends at your next dinner party. If you are a grandparent or love retro things, you will love Livingstone & Cavell. 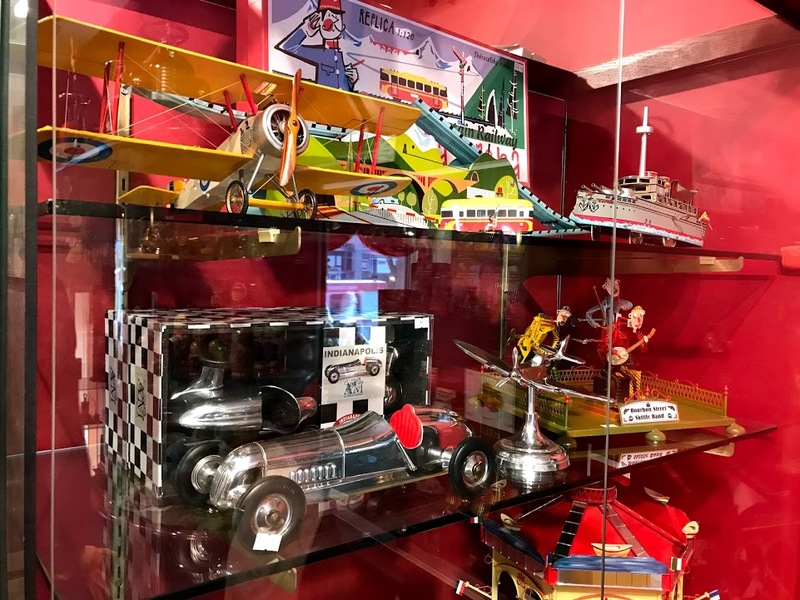 It is full of nostalgia-based toys, everything from shiny pedal cars to pick-up sticks, from toy soldiers to classic board games and wind-up tin toys. Livingstone & Cavell invites everyone to play again. Wind up a tin robot, twitch a marble with your thumb, play a few bars of “Happy Birthday” on a toy piano, and share your memories with friendly staff. Take home something educational for the grandkids and something fun for yourself. When you're in the heart of downtown Calgary, there's a hidden gem that has been compared to the world's largest map store - Stanford's in London, England. Established in 1989, Map Town is Canada's largest map store offering 90,000 world, travel, country, topographic, landowner, provincial, nautical and aeronautical maps, as well as travel guides, traditional and solar globes, digital data for your GPS and novelty items. Map Town has delivered maps to over 99% of the postal and zip codes in Canada and the USA. There most unique map is an authentic Captain John Palliser's exploration of Western Canada in 1867. If it is still available it is yours for $28,000. Popular souvenirs include World Wall maps, and local hiking maps of the Canadian Rockies. It is celebrating its 30th anniversary this year. Opened in 1979, Recordland boasts an inventory of over one million obscure, classic and new records, making its Canada’s largest record store. Visit on a weekday and you can browse to your heart’s content. 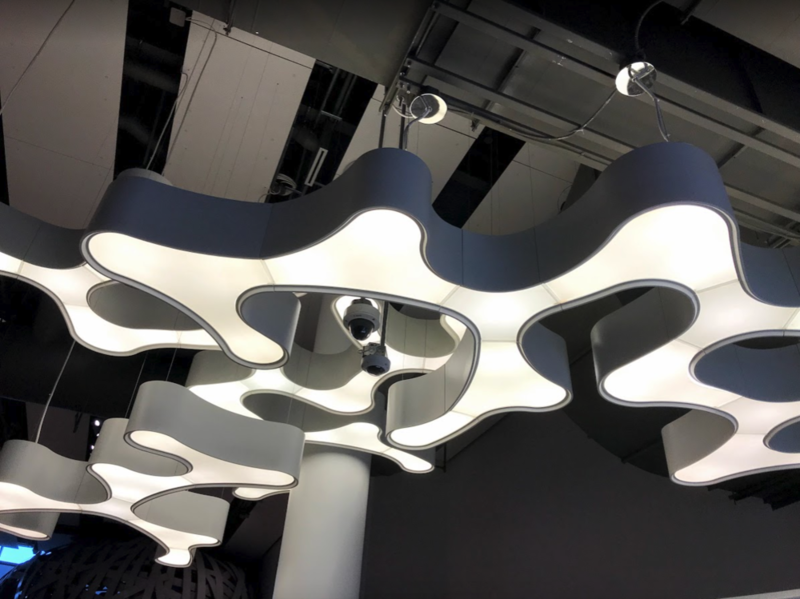 Visit on a weekend and you will be rubbing elbows with Calgary’s many audiophiles as the place is packed with floor-to-ceiling shelves that are only about three feet apart. 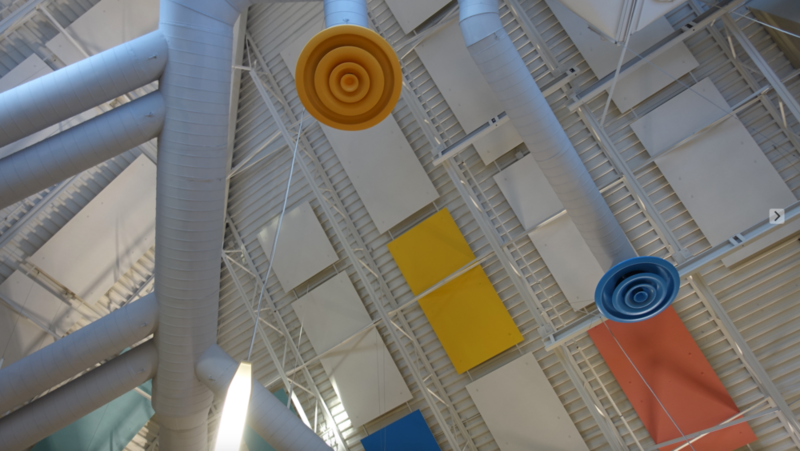 Look up to see and records decorating the ceiling. Reid’s has been a fixture on 17th Avenue for over 25 years. A party store in the front and stationary store in the back, it is a FUN place to explore. 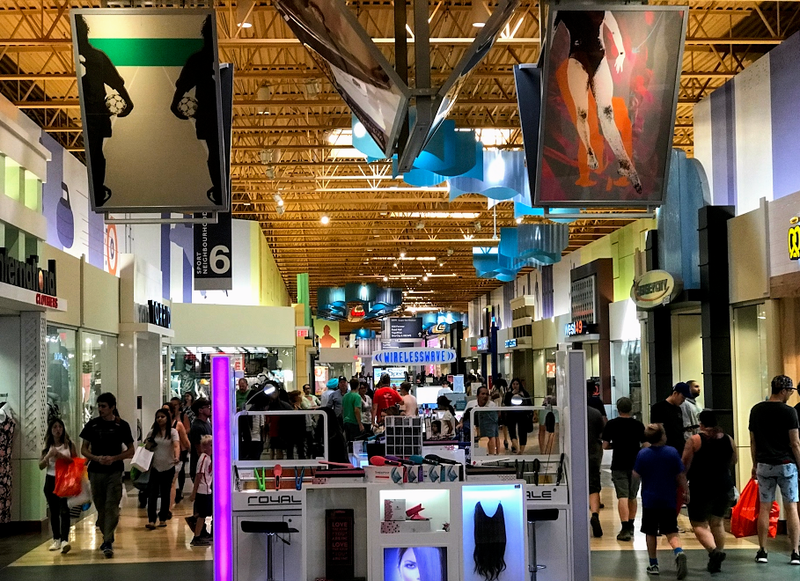 Jam-packed with balloons and piñatas and gag gifts, as well as designer items from Alessi and Riedel, and a huge selection of cards and specialty paper. Serious pen collectors won’t want to miss their large selection of designer writing utensils from Mont Blanc to Faber-Castell, from Lamy to Cross. If you can’t find a souvenir here, you aren’t really trying. Rubaiyat, established in 1973 has been one of the retail anchors on Calgary’s 17thAvenue main street, since it opened at its current location in 1980. 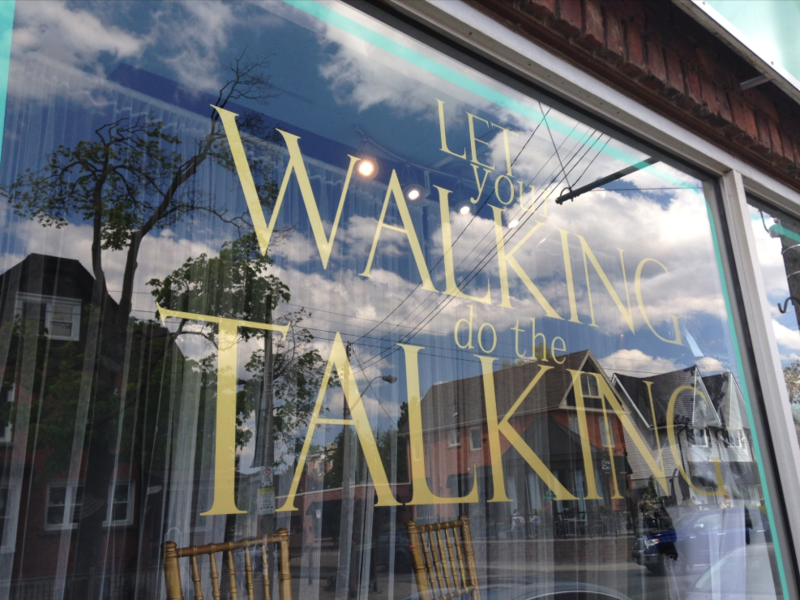 The store is unique as it combines a hand-blown glass gallery with upscale jewellery, as well as home décor accessories and furniture (indoor and outdoor). At any given time, there are works by over 800 artisans. 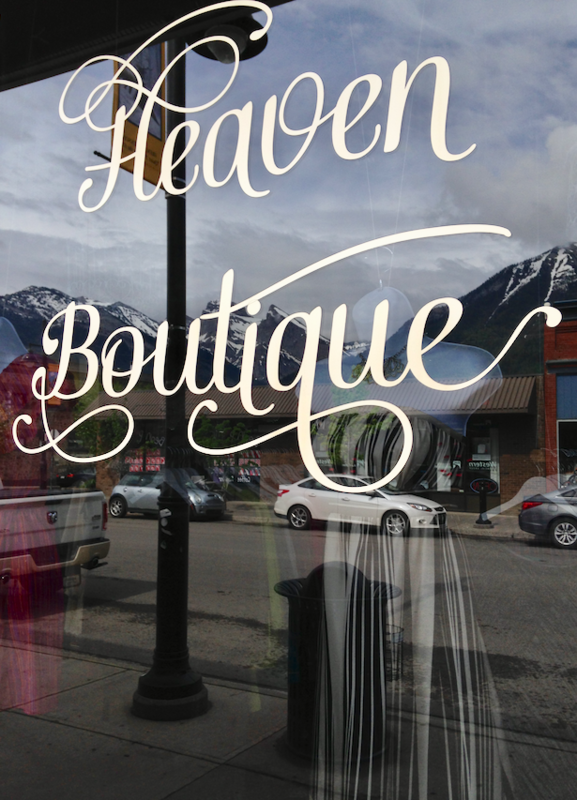 It even has its own Stained Glass Studio at 1913 - 10thAve SW - definitely worth a visit for off-the-beaten path shoppers. If you can’t find a souvenir here, you really don’t want a souvenir. No visit to Calgary is complete without a visit to the Smithbilt Hats new store, museum and factory in Inglewood. 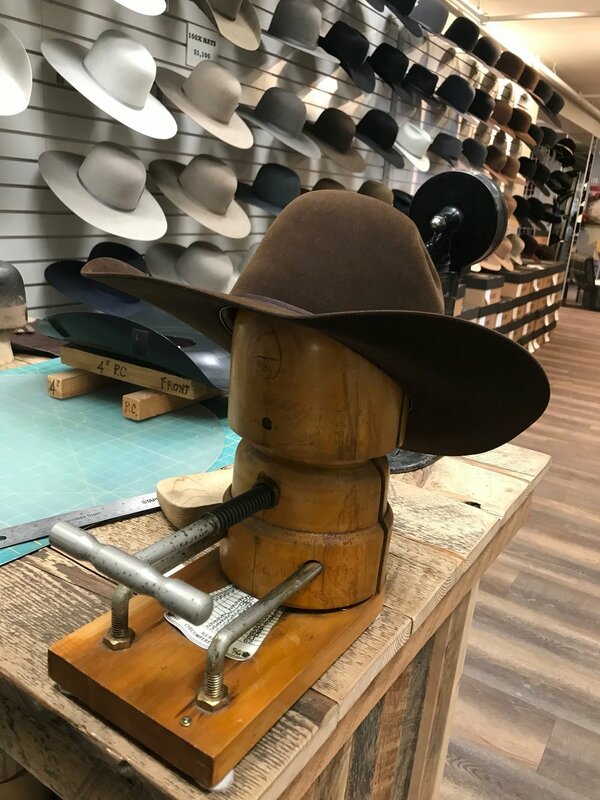 Founded in 1919, Smithbilt is the maker of the famous Calgary “white cowboy hats” that have been presented to visiting dignitaries as the City’s symbol of hospitality and friendship since the 1940s. Today the store offers a range of hats and other western fashion accessories. You can even custom cowboy hat made for you. The shop is full of hat-making artifacts and if you are lucky you might even see in progress hat-making. 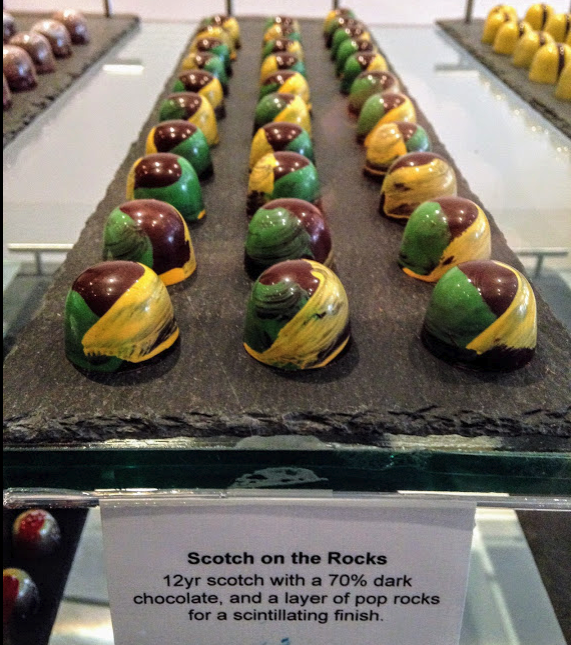 This tiny off-the-beaten-path shop in Chinatown offers chocolates that are ALMOST “to0 pretty to eat.” They are works of art. Several of The Chocolate Lab’s bonbons – Orange Dreamsicle, the L.L. 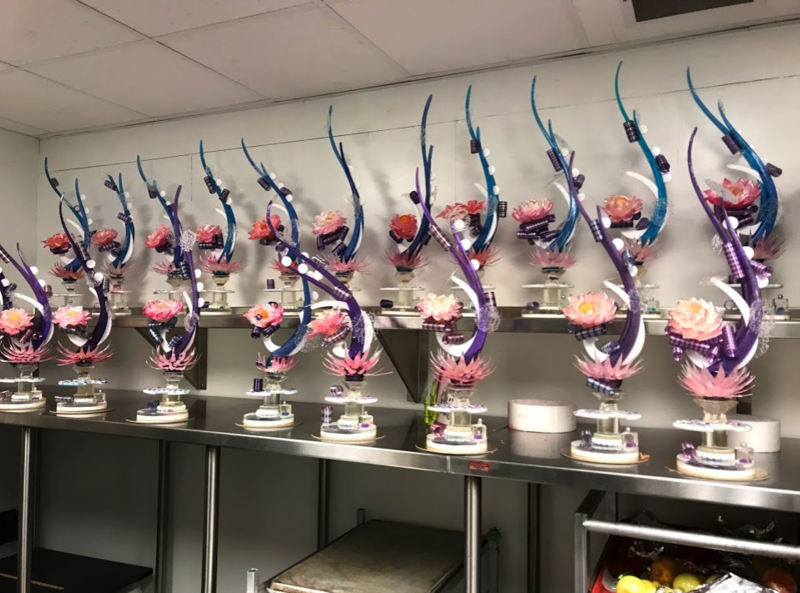 Dean and the Lychee Rose have won awards at the International Chocolate Awards. If you go to The Lab, be sure to leave some time to explore the surrounding quaint Chinatown. Explore over 850 different varieties of whisky at Calgary Co-op’s World of Whiskey store, one of the first whiskey-only stores in North America. Here you will find rare vintages from Scotland, Ireland, Japan, Taiwan, India and France, including a 50-year old single malt Glenfiddich going for the price of a well-equipped car. Obviously, there are many other retailers I could have included in this list. 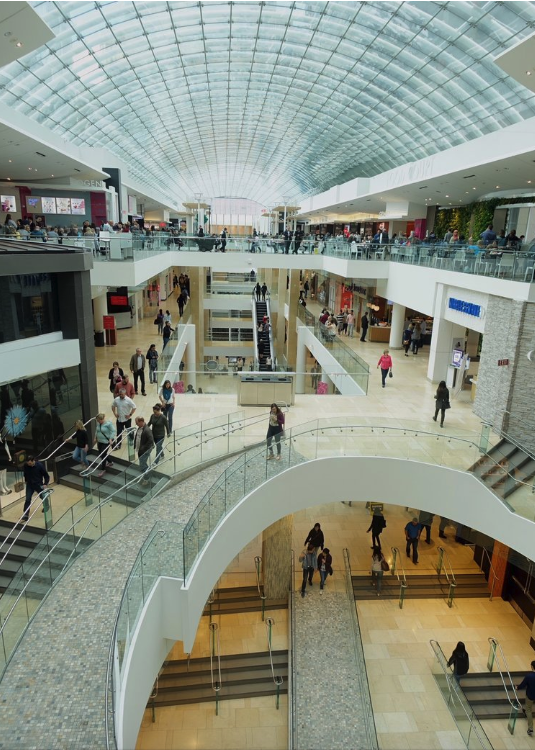 If you are looking to further explore Calgary’s unique shopping scene, I would suggest you explore these five districts. 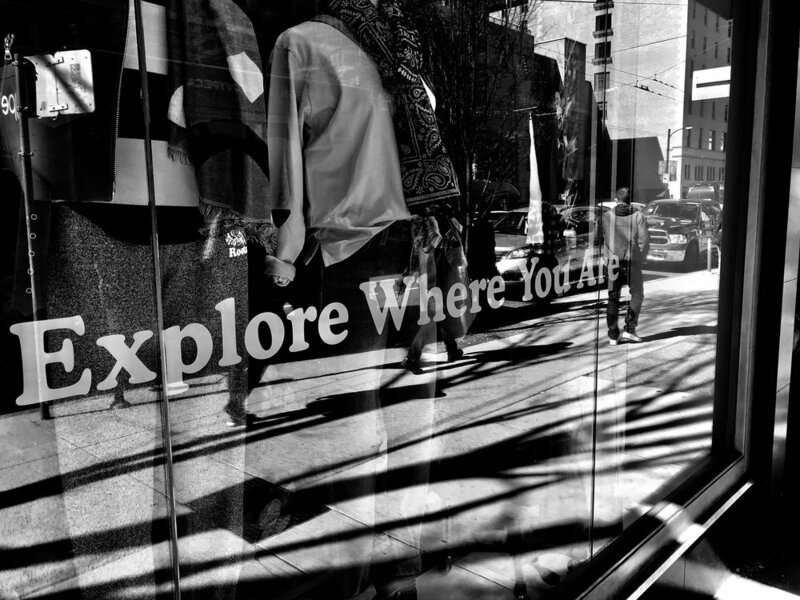 Jane Jacobs' quintessential main street is located in Vancouver? “Where is this perfect main street in Vancouver?” you ask. No it is not Robson Street. No, it is not Alberni Street. No, it is not South Granville Street. Nor, is it not Denman Street, Commercial Drive or Lonsdale Ave.
Ironically it is actually called “Main Street” and it is from East 7th Ave to 30th Ave. Yes, 23 blocks of continuous local boutiques, restaurants, cafes, grocery stores and services. Jane Jacob’s would have loved Vancouver’s Main Street. This is a typical block along Vancouver’s Main Street. It has just the right amount of charm and clutter, old and new, low and highbrow to create a fun walkable street that is full of useful shops that meet the everyday needs of locals. There are few national chains, mostly “mom and pop” shops, which is exactly what Jacobs thought made for a great Main Street. There are lots of doors on the street and windows to look at. There are thrift stores and used bookstores, mixed in with funky restaurants and small grocery stores. There is even a garage that still repair cars and a car dealership. It is a nice mix of shops, cafes, restaurants and services - something for everyone! There are just a few new condos and nothing over four stories. 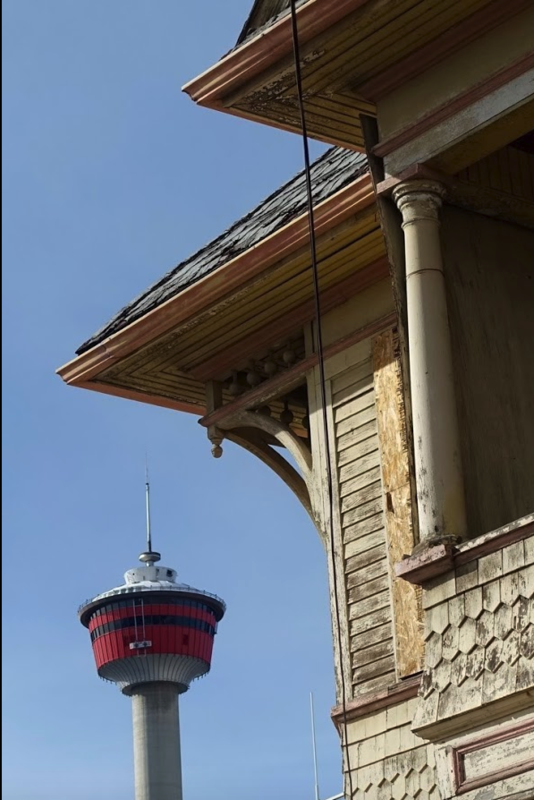 The side streets have a diversity of single family homes that still look like the original homes, with a few new infills and some renovations, but nothing as extensive as Calgary’s inner city communities where there are new infills on every block. FYI: We didn’t see a lot of “For Lease” signs along Main Street, which is surely a healthy sign. And Kevin Kent of Knifewear tells me that he pays higher rent for his store in Vancouver, than for his stores in Calgary (Inglewood), Ottawa (Glebe) and Edmonton (Whyte Avenue). So the success of the street isn’t lower rents that makes it so attractive to local businesses. There are no fancy designer buildings, no special signage or ornamentation, just back-to-back pedestrian oriented shops. One of the few blocks with residential above the shops. A typical side street is populated with single family homes, there are no low, mid or high rise buildings. Every good Main Street has to have a diner. 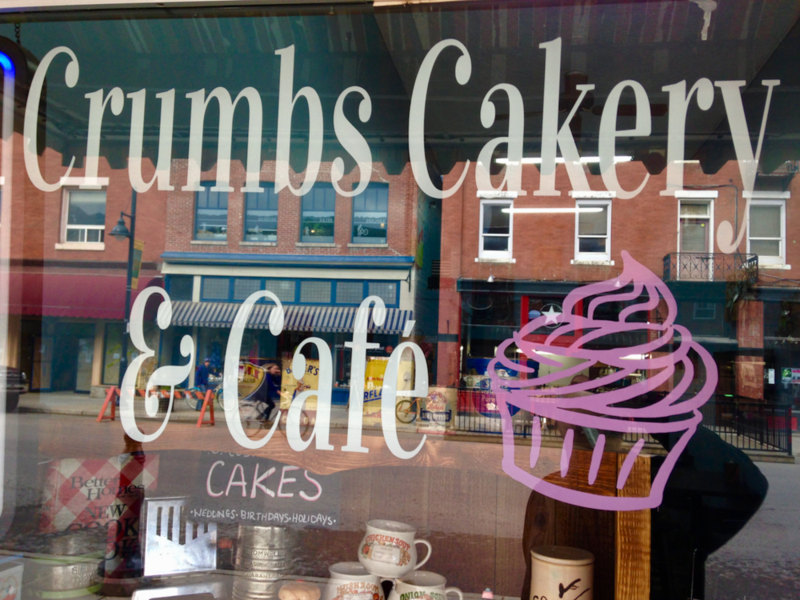 Independent cafes like The Liberty Bakery and Cafe at E 21st Street are scattered all along Main Street. In fact there are three cafe’s on this corner alone. Main Street is home to a couple of neon signs like this one….a reminder of how the street has evolved with the times. Their old post office has been converted into a special event space. I counted 40+ typewriters at The Regional Assembly of Text stationary and card shop. They actually have a free night when they let people use the typewriters to create their own prose. I have added it to my calendar. 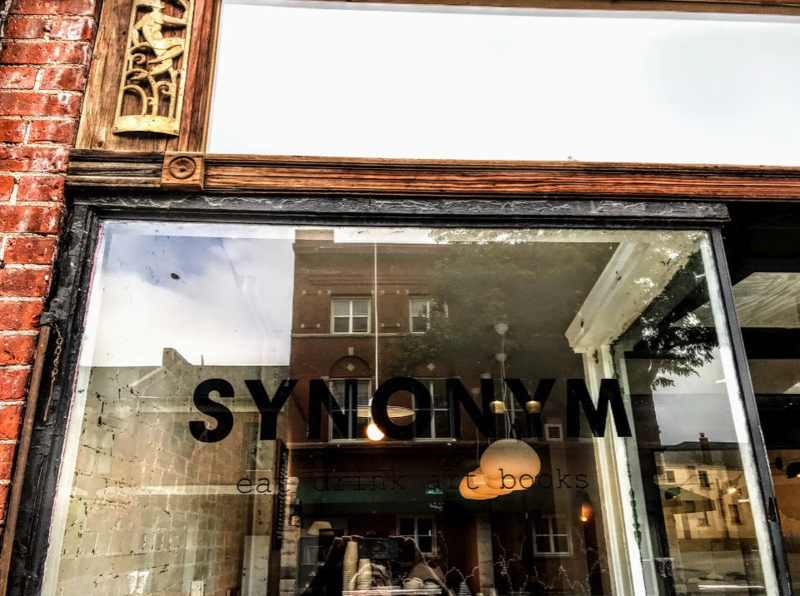 Yes it has the organic grocer offering Kombucha “that is not as expensive as you think,” but there are several older grocery stores that look like they have been there since the ‘60s. 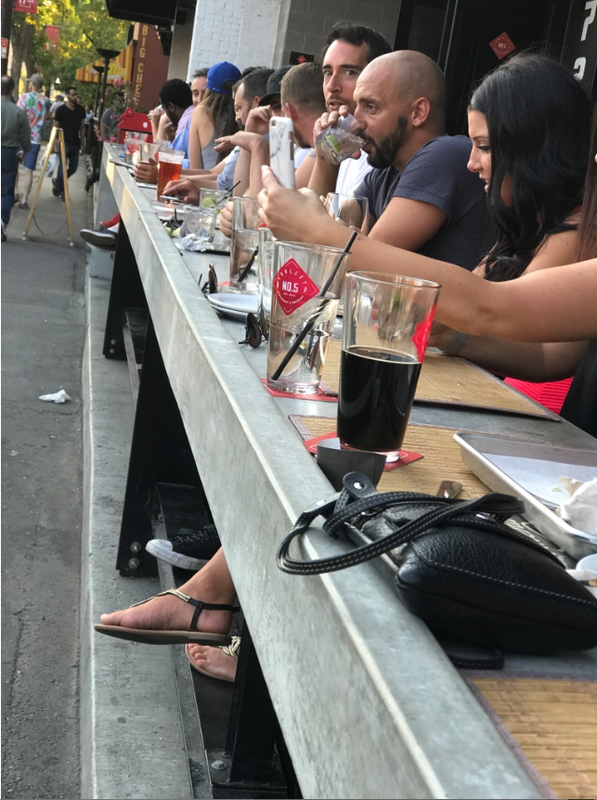 Sing Sing Beer Bar is a great spot for people watching and catching some afternoon rays…we certainly enjoyed their Happy Hour! I included myself in this photo so you could appreciate how big this sock monkey aka Easter Bunny is. I love streets with quirky window displays. The Granville Island Toy Company opened a second location on Main Street in 2007. I am a sucker for shops with great blade signs. 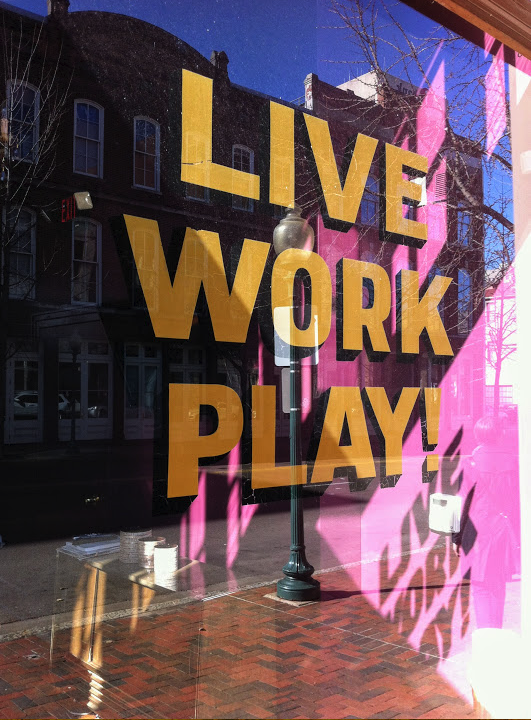 There are some great “window licking” photography opportunities along Main Street. A sure sign of a pedestrian friendly street. The Soap Dispensary and Kitchen Staples offers a wide array of natural products. No those are not beer taps. Even Calgary’s Kevin Kent chose Main Street for his Vancouver Knifewear store. There are some great shop and restaurant names like this one and The Shameful Tiki Room. Marian Distribution Centre is a real throw back, with its selection of spiritual books and artifacts. 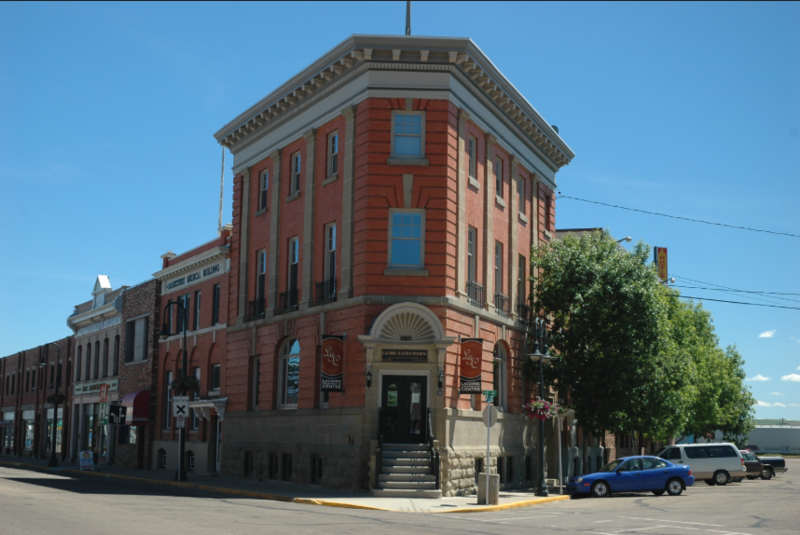 Main Street has a few antique stores, as well as a couple of thrift stores for those treasure hunters. I love the simplicity of just closing off half a block of this side street to create a community gathering place. It is also a simple and effective way to prevent traffic from cutting through the neighbourhood. This is the only other evidence of modernization of the street with a small pocket park and a strange red metal sculpture passageway that seems so popular these days. There are no special pedestrian crossing, no bump outs so drivers can see people trying to cross the road and no bike lanes. Everyone just seems to use common sense to make it work. Yes there is even an Exile on Main Street in Vancouver…. You will notice there are no fancy sidewalks. No designer furniture. Yes there are some banners, but for the most part the street and buildings have been left to age gracefully. There is something authentic about the street. It is not contrived as so many urban streets are today - trying to hard to be pedestrian friendly. One could ask can good Main Streets be planned or do they have to grow organically. It has the right combination of old, middle-aged and new buildings and diversity of shops catering mostly to locals, with some destination shops thrown in for good measure. I think Jane Jacobs' would have loved Vancouver’s Main Street. It is hard to believe there are still streets like this in Vancouver, where everything is being gentrified. 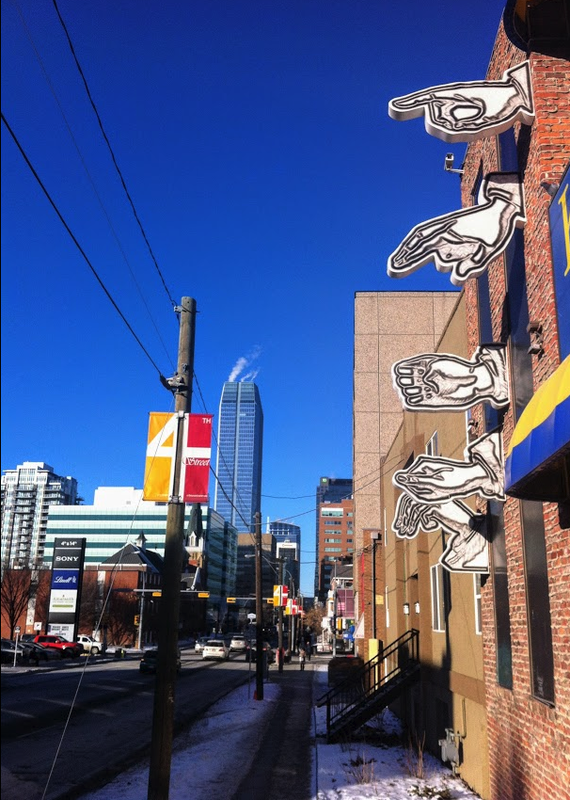 Calgary: 24 Main Streets Coming Soon? 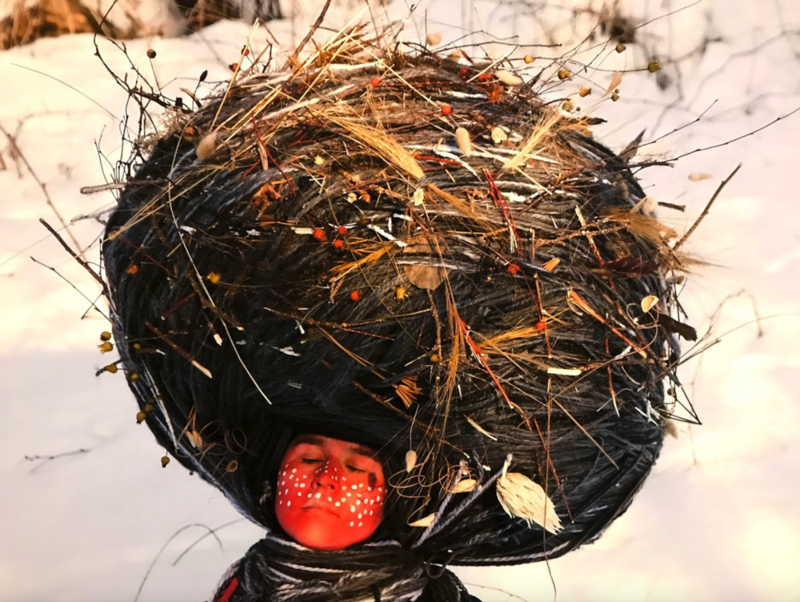 Meryl McMaster’s “Dream Catcher” welcomes you to her provocative exhibition “Confluence” one of several worth seeing exhibitions on at Calgary’s Glenbow Museum. 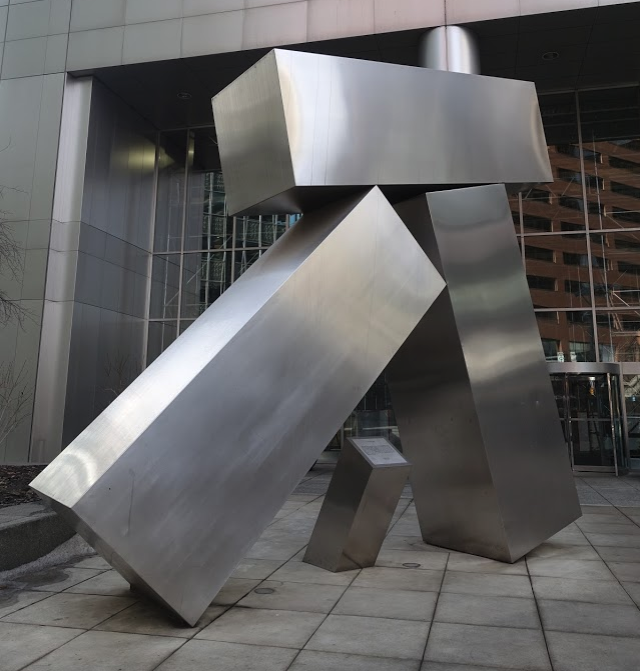 A visit to the Glenbow on March 7 for their “FREE First Thursday” (i.e. 5 to 9 pm the first Thursday of each month - thanks to sponsor Servus Credit Union) was very enlightening. The place was packed by 6:30 pm with over 700 people already having been through the Christian Dior feature exhibition (a fact direct from the security woman with the clicker in her hand). I’d guess there probably were a couple of hundred people in the gallery looking at the exhibition (not sure how you could see much as it was shoulder-to-shoulder people) and another couple of hundred in a line-up that snaked its way past three other exhibitions. It was so crowded, I almost thought I was in Disneyland. And, it wasn’t just the Dior exhibition that was busy. The entire museum was buzzing with hundreds of people of all ages, enjoying the other exhibits be it the Mavericks exhibitions on the third floor (that’s been there for 12 years), the exhibition of new works by Chris Cran, one of Calgary’s most respected visual artists or the historical art exhibitions. I wonder how many, like me, came for the Dior exhibition like me, but weren’t going to wait in line. No matter, they were looking at the art and seemed to be enjoying it. 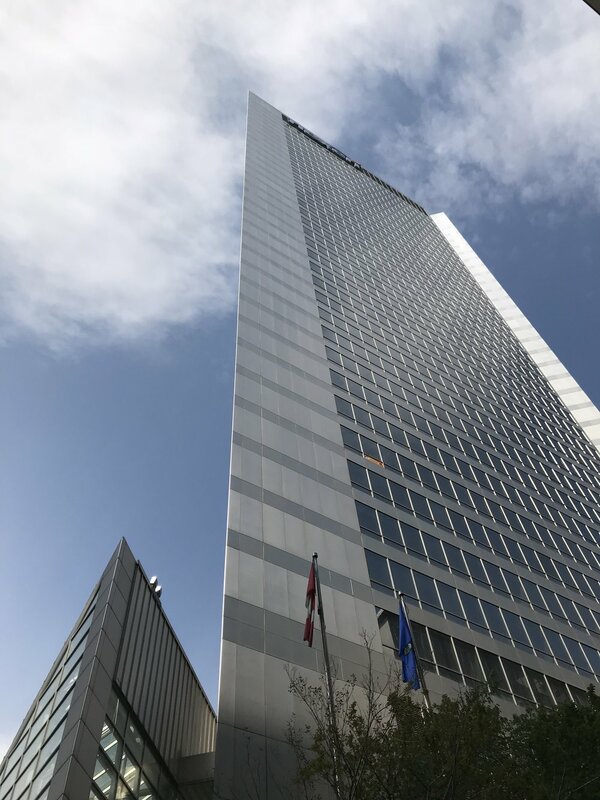 In fact, as it turned out, Zoltan Varadi, Glenbow’s Communication Specialist reports that over, 3,000 people visited the Glenbow after 5 pm that day, exceeding the average First Thursday attendance by 1,000 people. The Christian Dior exhibition is in the background the people in the foreground are the beginning of a long line-up of people waiting to get into the exhibition. There is obviously a pent up demand to visit the Glenbow. I am pretty sure the Glenbow doesn’t look like this on the other Thursday nights, unless there is a free members and guest opening reception for a new blockbuster exhibition. 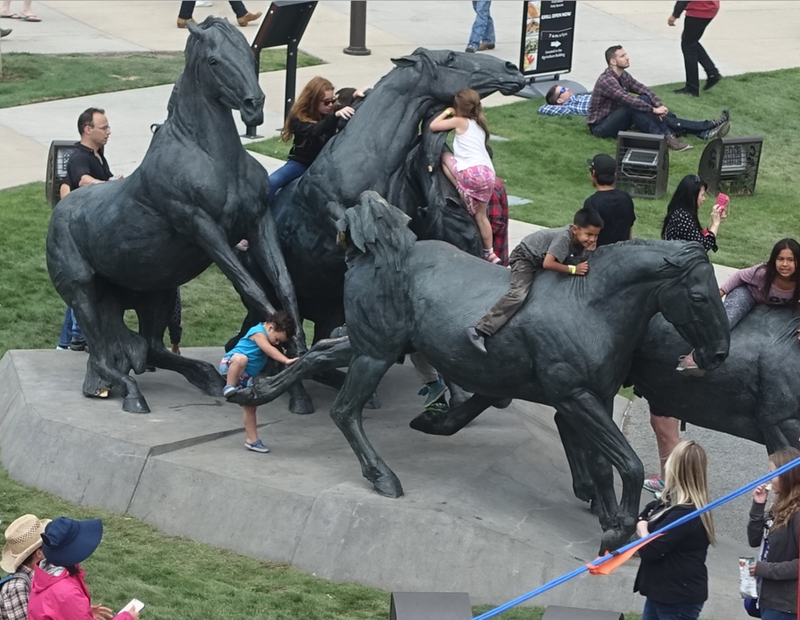 In fact, if my math is correct (based on their 2018 Annual Report), the Glenbow’s average daily attendance is about 350 people (excluding school programs). Question: How do you go from 350 a day to 500 an hour? 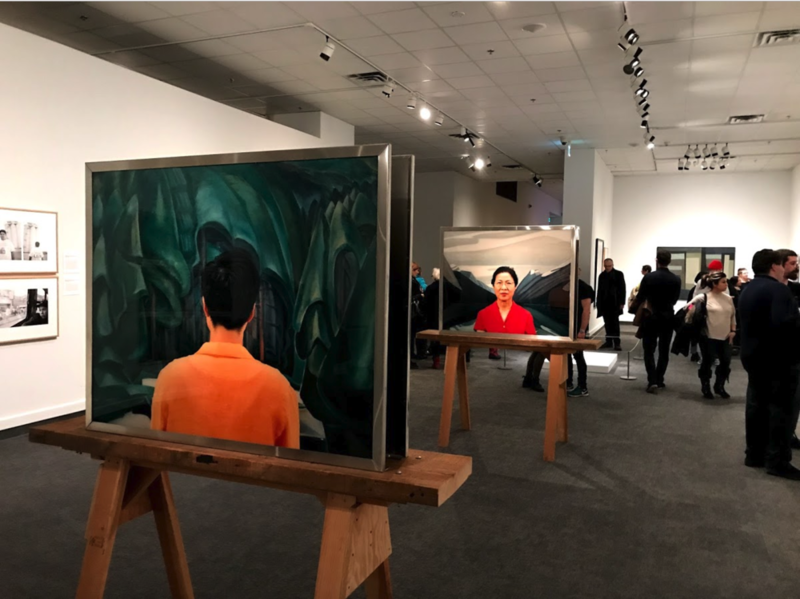 At any given time the Glenbow’s second floor art gallery offers several exhibitions on different aspect of the visual arts, from historical to contemporary. Kent Monkman’s installation titled, “The Rise and Fall of Civilization” with its three figures at the edge of a cliff makes multiple references to civilizations past and present. 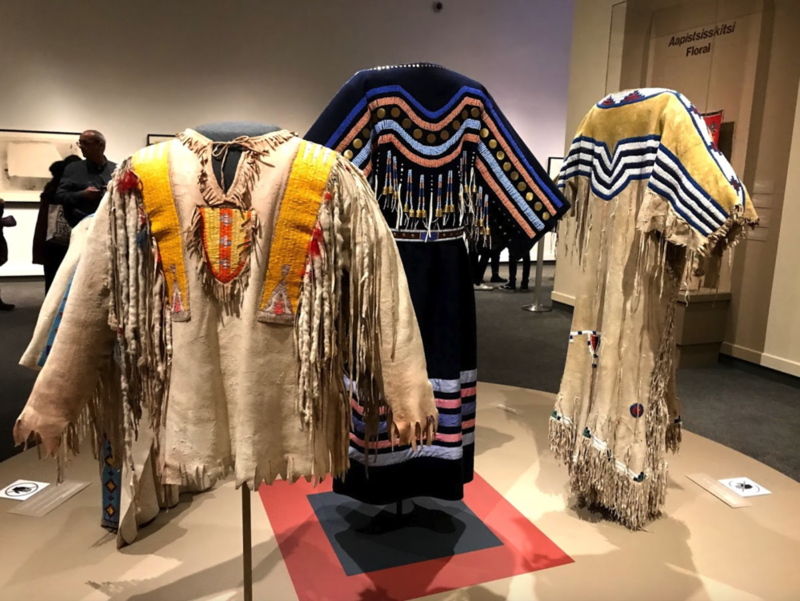 The exhibition of Blackfoot traditional clothing is a clever juxtaposition to the Christian Dior exhibition. Obviously, people want to visit the Glenbow, just not pay for it, or at least not pay the current admission fees. Are admission fees too high? Why won’t we pay $18 (adult), $12 (senior - 65+), $11 (youth - 7 to 17) or $45 (family – 2 adults and 4 kids)? (Note: children under 6 are free.) 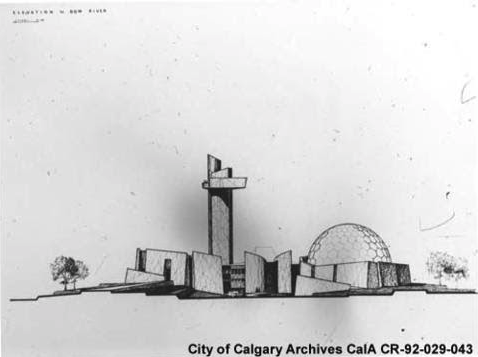 Why don’t more Calgarians buy a Glenbow Membership $55 (adult), $75 (couple), $20 (student), $40 (senior), $65 (senior dual) and $90 (family). 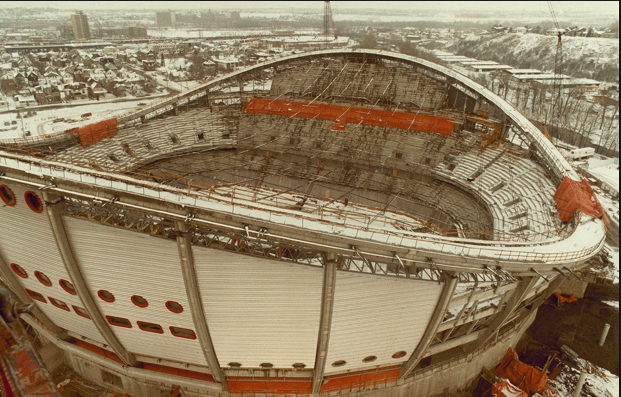 Currently, only 2,700 of Calgary’s 559,000 households have Glenbow Memberships. That’s less than 1%. FYI: I think this schedule is unfair to single Calgarians. If a couple can buy at membership for $75 then a single should get one for half that price - same for seniors. We don’t seem as price adverse for other recreational and entertainment activities. For example, most Calgarians willingly pay $14 for a 2 hour movie at the theatre? We don’t blink an eye to pay $20 for brunch or lunch at a restaurant. Heck, a good glass of wine at diner these days is $12. A round of golf is $50+ for four hours. A drop in class at a good yoga studio is about $20 for 90 minutes. But $18 to visit the Glenbow? No way. Couple enjoying Chris Cran’s fun new works. The Glenbow’s admission prices are slightly higher than those at Edmonton’s Art Gallery of Alberta and the Winnipeg Art Gallery but lower than those at the Vancouver Art Gallery. It should be noted to that the Glenbow is both a public gallery AND history museum so visitors get two experiences for the price of one. Perhaps there should be one price for the gallery, one for the museum and then a discounted combined price? I wonder what would happen if the Glenbow was free every day. Would that break the bank? Would that create opportunities for more corporate sponsorships to make up for the loss admission revenue? 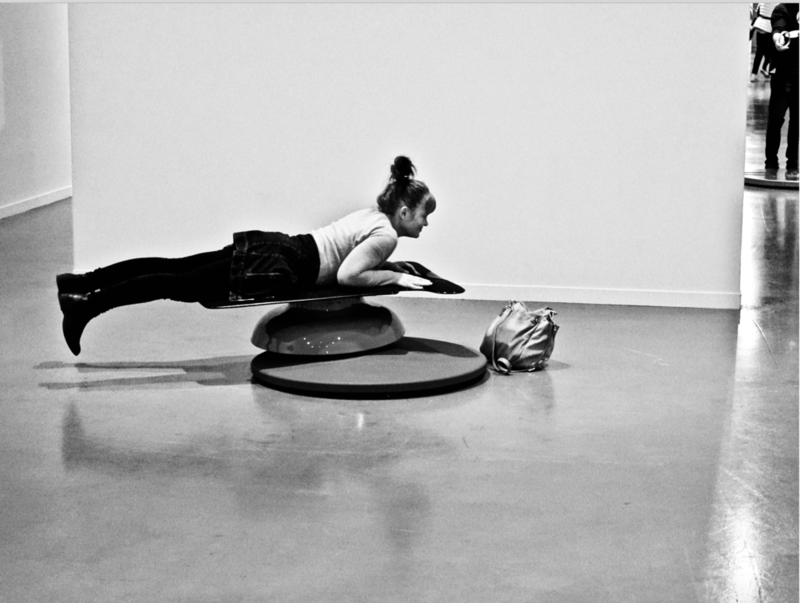 What about experimenting with having every Thursday evening FREE? Would Servus Credit Union sponsor all of them? Or their could there be a different sponsor each week or each month? What about a free Family Sunday once a month. Yes, adults would have to bring a child under 18 to both get in free. What about free for all children under 18 all the time? Don’t we want our children to be exposed to the visual arts and know about our local culture? Maybe a couple of free teen days during the year. 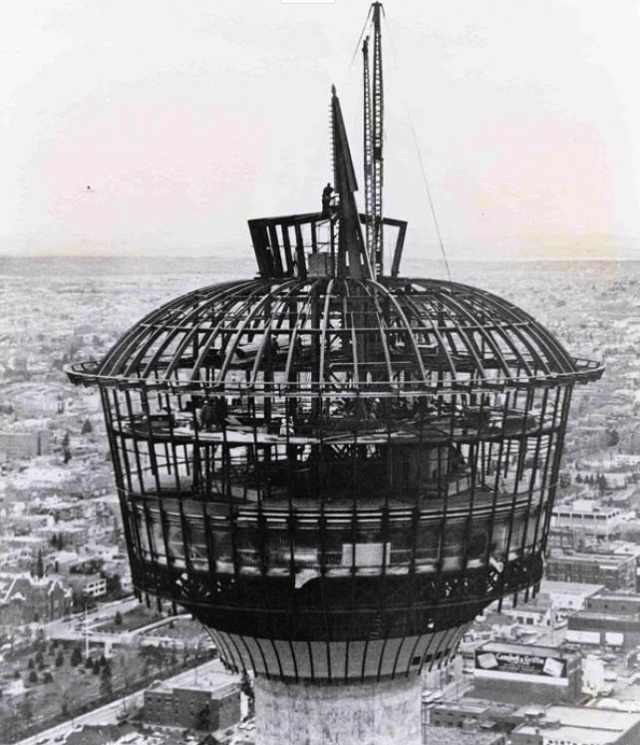 Parents could drop them off at the Glenbow and then go do some shopping or have lunch downtown. 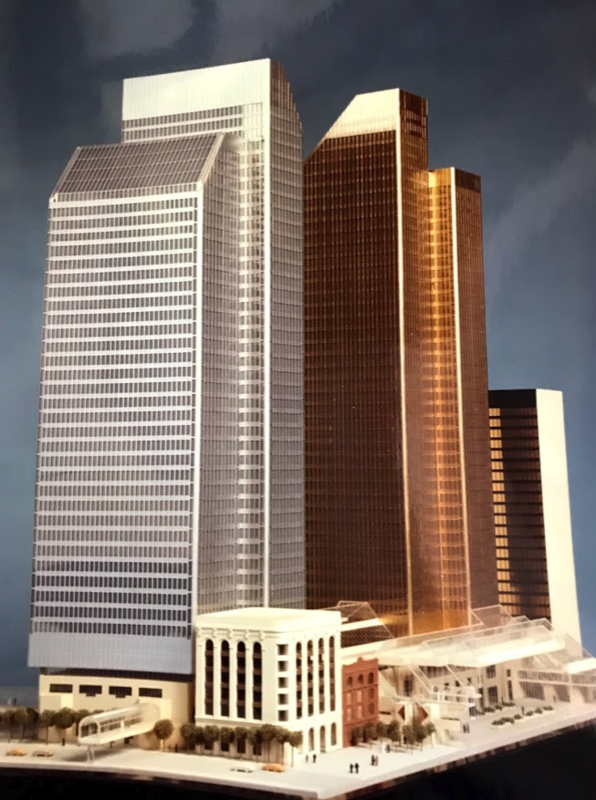 Win-win for downtown businesses! 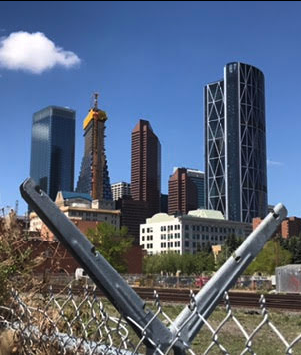 Perhaps the Calgary Downtown Association and the Chamber of Commerce might want to sponsor this one. What about 2-for-1 days? Maybe a “pay what you want” day in the middle of the week - or one weekend a month. Theatre Calgary offers a limited number of Pay-What-You-Can tickets on the first Saturday matinee during the run of each the five Mainstage productions. 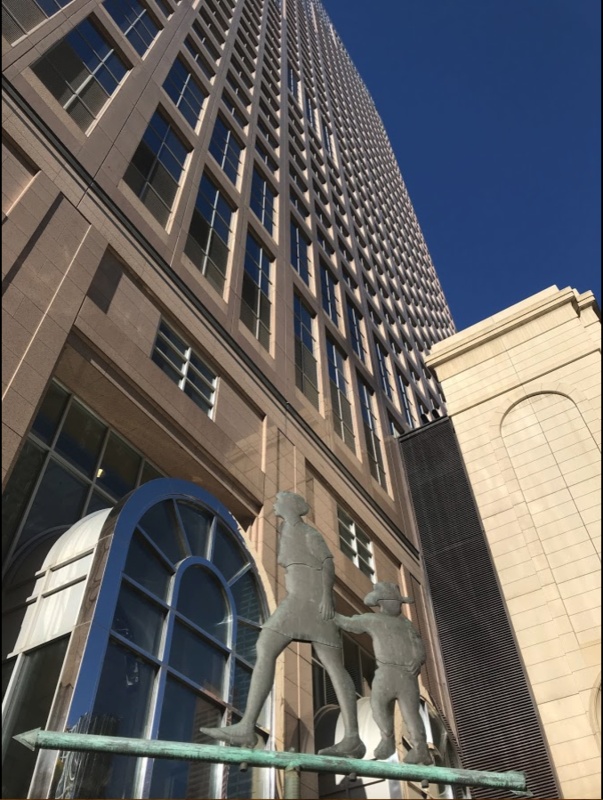 What about a $2 lunch admission for downtown office workers? They aren’t going to pay $18 when they only have 50 minutes or so. What about $3 after 3 pm? Happy hour pricing at an art gallery? Given the Gallery closes every day at 5pm (except Friday), this would give people 2 hours to view the exhibits – probably plenty of time for most people. Perhaps a monthly “Bring a Friend to the Glenbow” day for members. It would be an added benefit for buying a membership and introduce more Calgarians to the Glenbow’s excellent exhibition and gift shop. 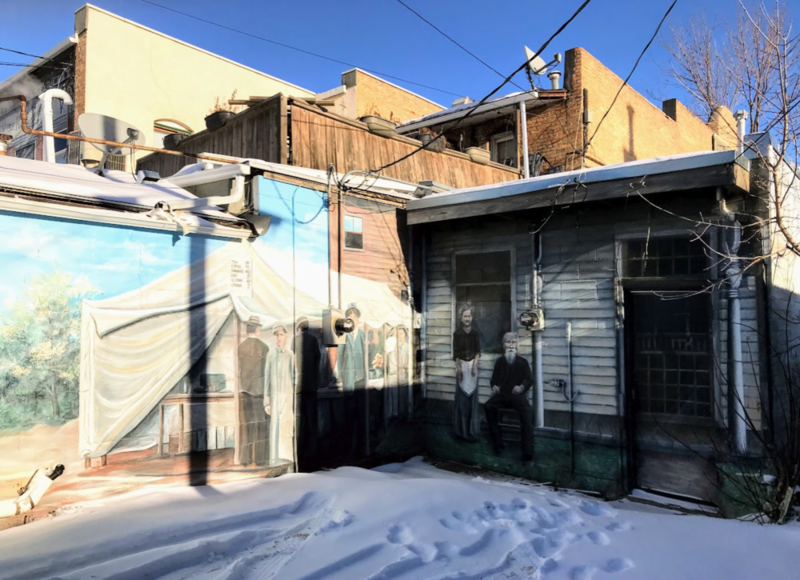 On Location: Artists Explore A Sense of Place, curated by Sarah Todd provides a past and present overview of life in Canada. 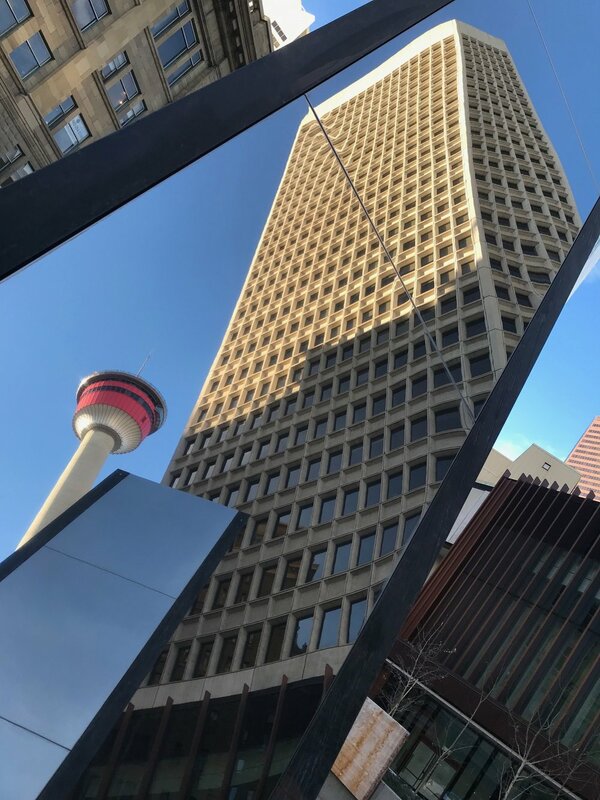 The Glenbow’s attendance has grown over the past five years, from 117,379 to 150,736 (Glenbow’s 2018 Annual Report). However, it begs the question: Has most of the growth been due to Free First Thursdays (2,000/mth X 12 = 24,000) since its introduction in 2016? The Glenbow also reports that 50,000+ of the 150,000 attendance is due to the Glenbow’s great school programs. Do the math and the actual paid museum admissions turn out to be about 75,000 (150,000 – 50,000 school tours and 24,000 Free Thursdays). In other words, just three times what is achieved in four hours on Thursday nights once a month. Here’s the conundrum. 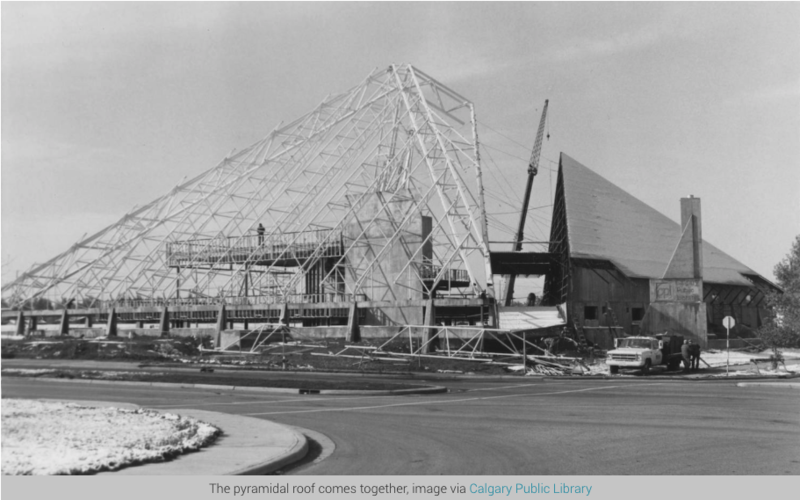 The Glenbow invests millions of dollars each year curating and presenting entertaining and enlightening exhibitions for which there is obviously a huge interest, but there is a huge barrier for people to see them – the price of admission. 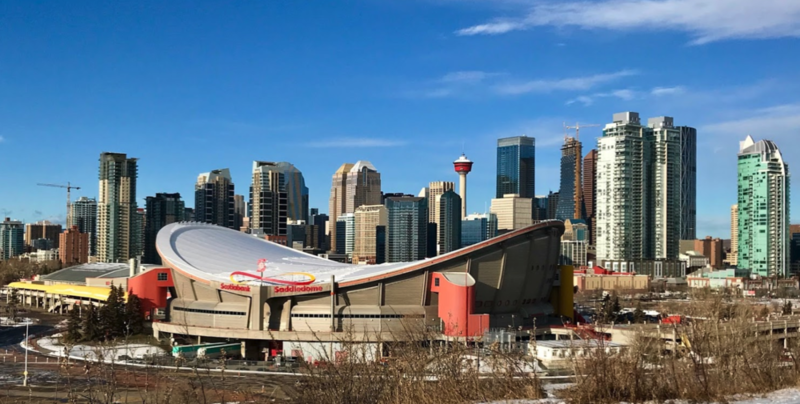 At the same time, the Glenbow struggles to generate revenue as government grants have been frozen for many years and corporate donations are not easy to come by. So, they desperately need more admission revenue. This flies in the face of more free or discounted admission - or does it? 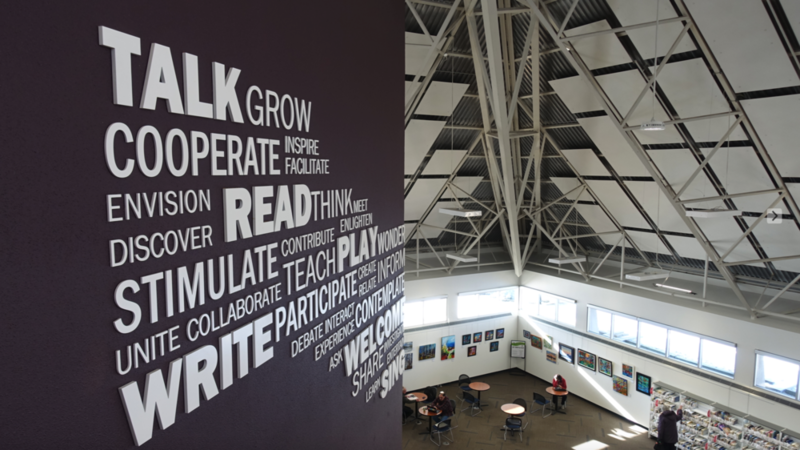 Experimenting with a more creative admission schedule could result in more corporate sponsorship opportunities like the one with Servus Credit Union. Some of the above ideas could actually attract more paid visitors to the gallery (at a discounted price) who would never come at $18, so it means increased admission revenue. When Donna Livingstone was first appointed to the position of President and CEO of the Glenbow in May 2013, she said wanted to create “a new kind of art museum.” In many ways she has done that when it comes to the exhibition, education, event programming and gift shop. But little has changed when it comes to admission fees. Significant research has been done on the pros and cons of free and discounted admission, without any definitive conclusions as every gallery and museum has a different funding model and a different audience. 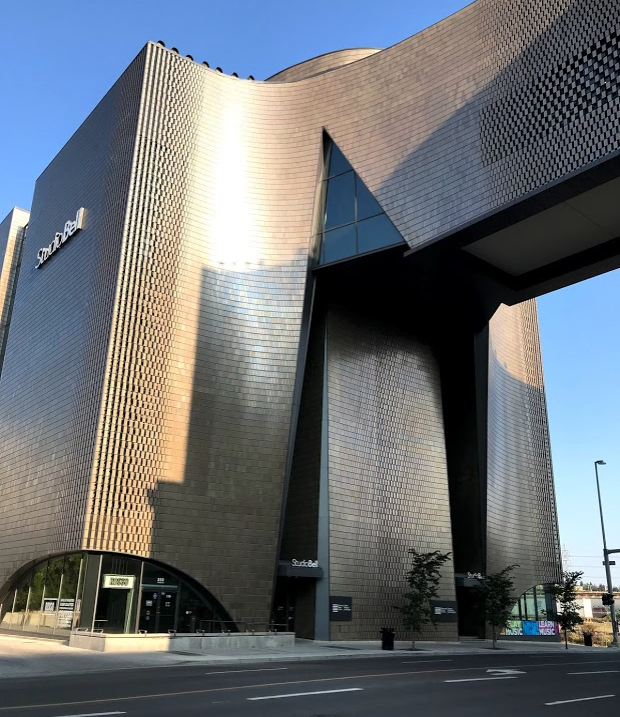 Perhaps now is the time for the Glenbow to experiment with a creative admission fee schedule that would entice more Calgarians and tourists to visit our city’s largest and oldest cultural institution. 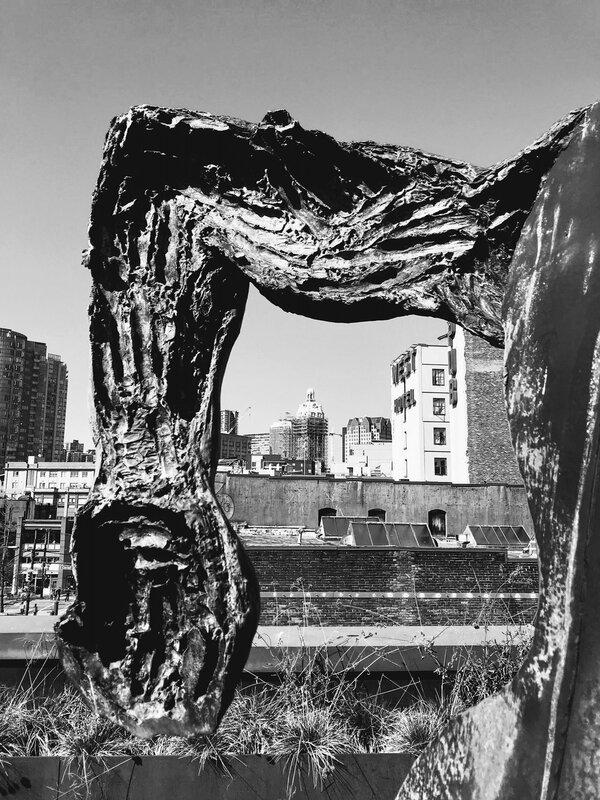 An added benefit of having discounted admission more frequently – it would reduce the number of visitors on the Free First Thursdays, thereby making for a better experience as they have become too crowded. 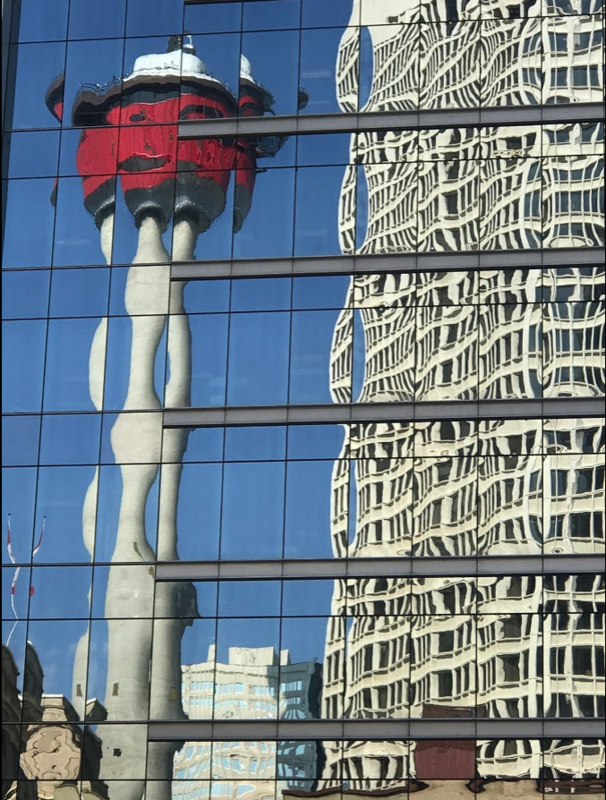 One of the highlights of February in Calgary is the annual Exposure Festival which showcases the diversity of photography being done in Calgary and beyond with 38 exhibitions across the city. 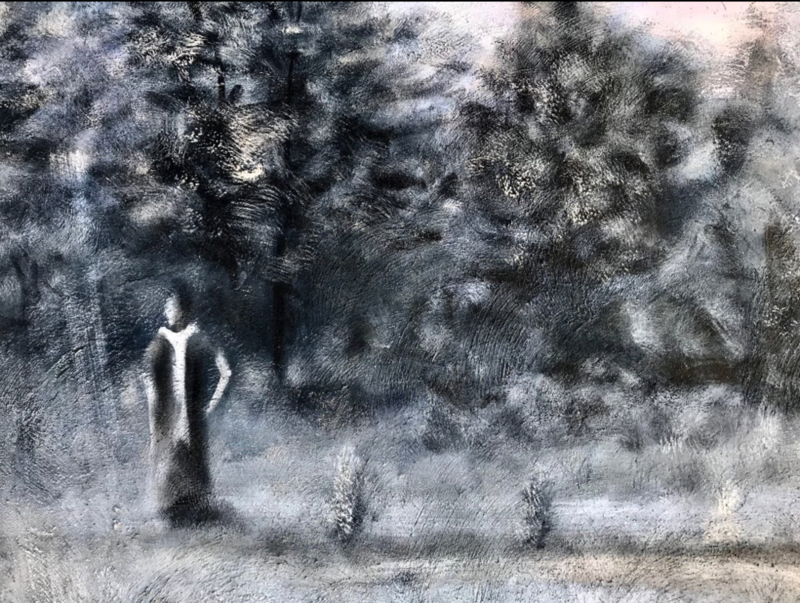 As most of you know in a previous life I was a bit of a painter and then a curator at a public art gallery and I consider the photography in my blogs as important as the words. 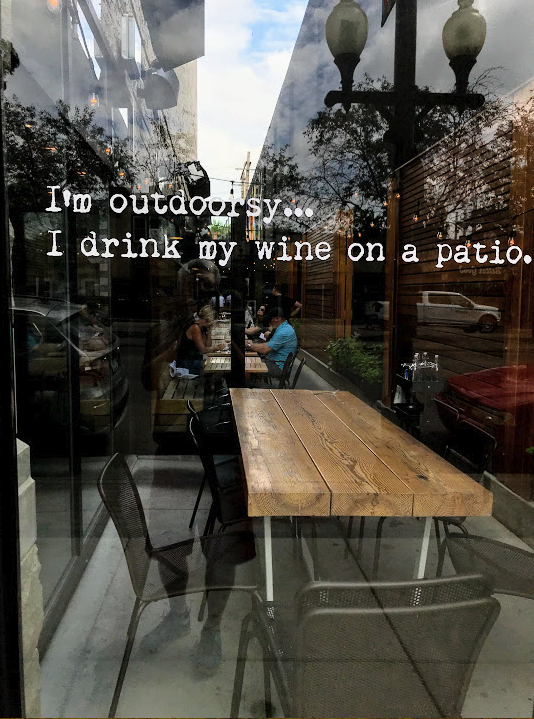 In honour of this year’s Exposure Festival I thought I would self-curate a photo essay of windows with words from various cities and towns I have flaneured. It is as if each of the windows is talking to those who pass by. I hope you enjoy…. After I selected these photos and loaded them to the blog site, I began to wonder if they should be organized in some way. Then it occurred to me that perhaps collectively the words might create a poem or some sort of BEAT story. We decided to celebrate Valentine’s Day a few days early this year. Why? Because earlier this month we received a mailer from SAIT’s The Highwood restaurant for 25% off. We couldn’t pass up such a good deal. It was too late to book for Valentine’s Day, so we picked another day. We often think about going to the Highwood but never do. Partly because we think it is always booked months ahead (more about that myth later) and partly because who plans that far ahead. Who says mail drops don’t work? Social media – bah humbug! 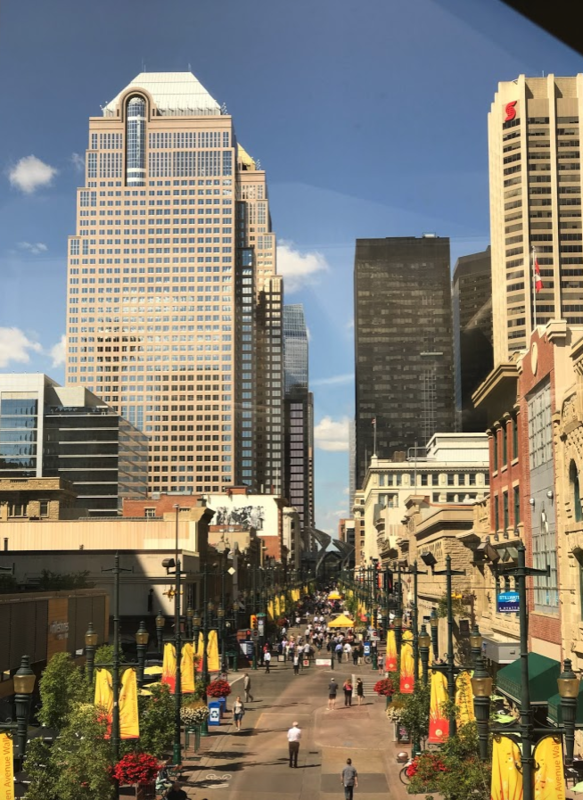 We timed our visit to SAIT so we would arrive about 45 minutes early, enabling us to flaneur a bit beforehand and maybe have a bit of an adventure. We weren’t disappointed. FYI: We love exploring post-secondary campuses wherever we travel, as we often find unexpected hidden gems. First, we checked out The Market Place where they sell pastries, breads, prepared soups, jams, sauces and other condiments, as well there is a butcher’s counter with fresh meats. Everything was super fresh as students in the hospitality program prepare it daily. 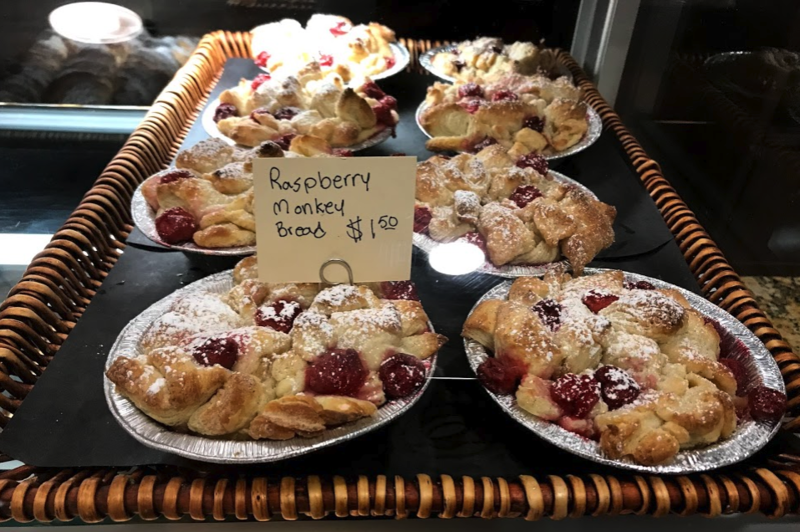 We couldn’t resist so we picked up a loaf of Coconut Curry bread, two Raspberry Monkey Bread tarts, some braised short ribs and stewing beef. Hearing we were headed for lunch at the Highwood, the very helpful student (no name tag) serving us was kind enough to offer to store our purchases so we could pick them up after lunch. It was a good thing we decided to buy before lunch, as both the breads we bought were gone when we returned to pick up our treasures an hour later. With still had time to wander, but thought we should head in the direction of The Highwood. Once at the building, instead of going straight up to the second floor restaurant, we took the stairs to the basement to see what we could find. In the stairwell was a strange, intriguing wall mural that led us to believe there might be something downstairs. 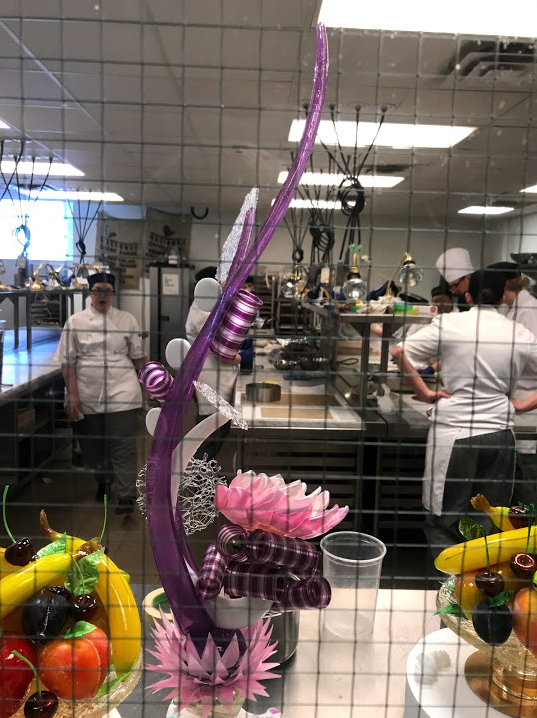 When we turned the corner, we were face-to-face with a big window into the Chocolate Lab where a dozen or so students, were making some funky-looking candy sculptures. We looked in for a while (being the voyeurs that we are) getting some smiles from those within and then moved on. We proceeded along the dingy, albeit very clean, hallway that looked almost abandoned. 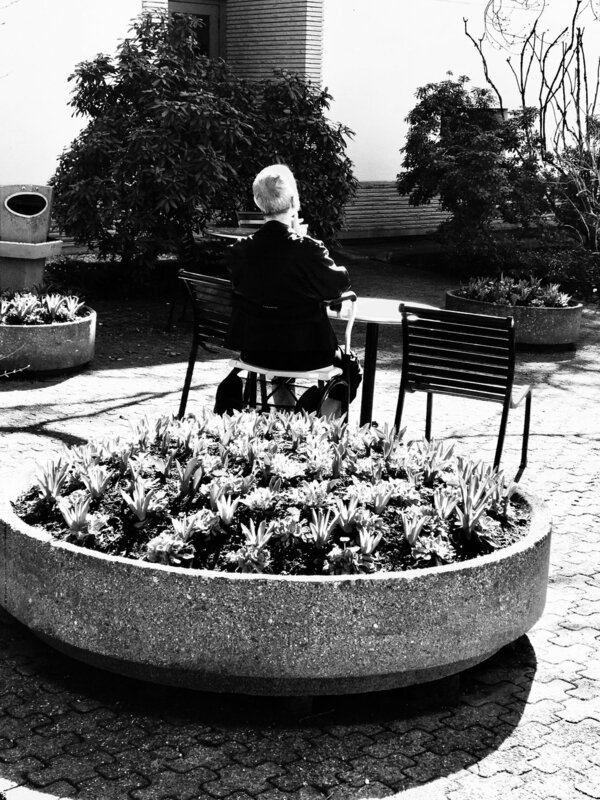 It reminded Brenda of her University of Manitoba days, travelling through the dark and dingy tunnels from building to building to get from class to class. Soon we found The Butchery – no baker and no candlestick maker - but it was closed. We will be back on a Thursday – it’s the only day it is open. We understand you can get some good deals on freshly butchered meats and some different cuts than you find at the grocery store. 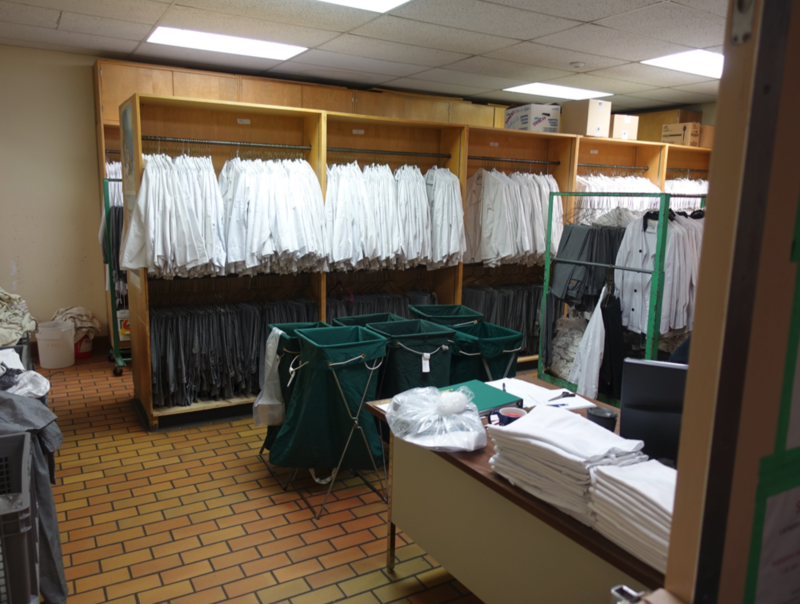 We continued down the hall lined with old, grey mid-century lockers and found the uniform room complete with an attendant to hand out clean uniforms. I didn’t ask if I could try anything on. Moving on, we found a huge, well-lit but barren concrete tunnel leading to the next building - we think. Or, was it a bomb shelter we joked. But alas, it was time to turn back. We did find some old artifacts and were tempted to take this clock home as it looked like it was headed to the landfill. Eventually we arrived at the tunnel…wouldn’t this make a unique dining room? As we headed back, the door was open into Chocolate Lab so we decided to take a quick peek in as it looked like all the students were gone. We were quickly greeted and welcomed by Guy Vaugeois, SAIT’s pastry instructor. He immediately invited us to come in and have a look around. He didn’t have to ask me twice. I was on it like a dog on a bone, snapping pictures with my camera and iPhone like a mad tourist. Guy was most helpful spending time telling us all about the students’ current project and how the pastry program worked. And not only did he invite us to try some handmade chocolates, he quickly got us a container and filled it with chocolates insisting we take some home. He even went so far as to invite us to come back again. You can bet we will take him up on his offer! Free chocolates – we aren’t idiots! Sweet Lunch & Hot Tips! Realizing it was 12:10 (our lunch reservation was for noon), we quickly thanked Guy and dashed upstairs to the Highwood for what was a lovely lunch, served by the charming Jose, who couldn’t do enough to please us. He also works at River Cafe (another great Calgary restaurant) so you might see him there. Of course, the highlight for us were the desserts – the wonderful bread pudding and double lemon meringue. Works of art and very tasty too! FYI: I also couldn’t resist ordering a Singapore Sling in honour of Harry Hiller’s guest blog about Singapore last week. Here again, staff proved there is no shortage of hospitality in SAIT’s Hospitality Program. Darwin Ens, Food and Beverage Instructor was most helpful when we asked a few questions. One of the biggest myths, we learned, is that you need to book a table weeks or months ahead. Turns out if you call the day of, you can probably get a table, maybe not if there are 8 or 10 of you, but two to four people can almost always be accommodated (best to call between 9 and 10 am). Reminder, The Highwood is only open September to April (school terms, so closed over the Christmas holidays and reading week and best to always phone first) and only Monday to Thursday (for dinner) and Monday to Friday (for lunch). There are two set seating times the a la carte lunch (11:30 or noon) and three for the five course fixe menu dinner 6:00 pm, 6:30 or 7:00 pm. Welcoming entrance to The Highwood - upscale casual. What to choose…it all looks so good! 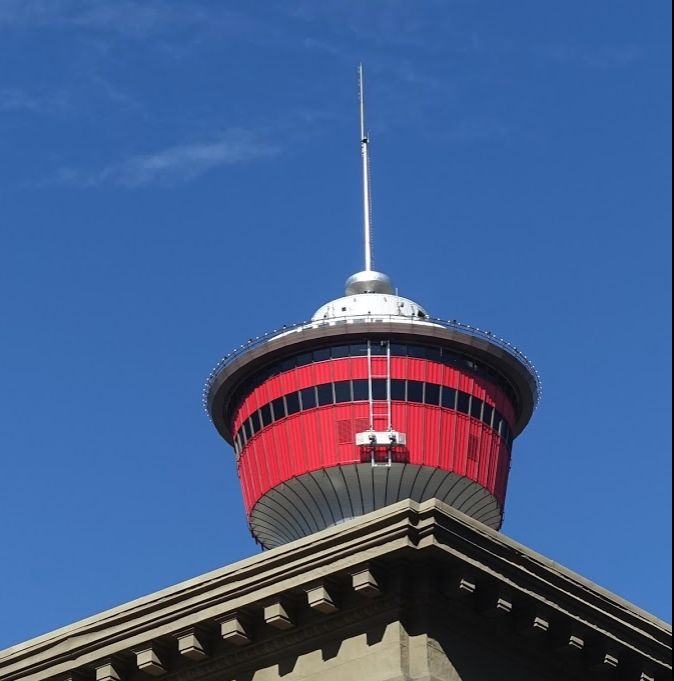 If you are visiting Calgary and looking for an off-the-beaten path experiences, we recommend you book yourself lunch or dinner at The Highwood and explore SAIT’s century old campus. SAIT’s campus is a delightful mix of old and new architecture. University of Arizona: Research vs Retreat? 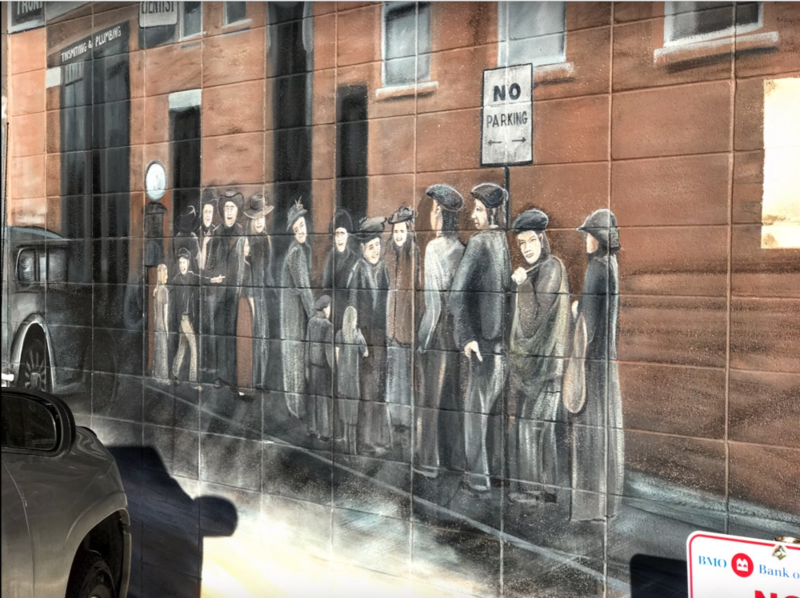 One of the ten commandments of an “everyday tourist” is “thou shalt always look for an independent restaurant, retailer or café.” Recently, while driving back from Edmonton to Calgary and needing a pitstop at Alberta’s famous “gasoline alley,” we looked for a local place to eat. And, we were justly rewarded with a “too much fun” experience. This Boler trailer teapot was one fo the first “too much fun” teapots I spotted at Glenn’s Family Restaurant. This one is for Tamara…. Just to be clear, for those who don’t know halfway between Calgary and Edmonton (distance 300 km) is a cluster of gas stations, fast food places and hotels that has been called “gasoline alley” for as long as anyone can remember. There are probably a dozen gas stations, more than a dozen fast food restaurants and probably a baker’s dozen budget motels. Amongst the mostly chains, you can find a few unique gems. As a good “everyday tourist” we looked for an independent restaurant where we thought we might find a heartier meal and eat amongst some locals. Without knowing what we were in for, we stumbled upon Glenn’s Family Restaurant at the south end of the alley. Yes there is even a custom Glenn’s Family Restaurant teapot. It was a lively place on Saturday at about 10:30 am, but we were seated quickly. I immediately noticed that true to its name, this place had the feeling of an authentic “family” restaurant. In fact, it looked like a “grandma’s house” with knickknacks everywhere. Looking more closely, I realized it was a collection of very eclectic or some might say kitschy teapots. For me they were simply “too much fun,” so I got out the phone and started taking pictures. Soon, the manager came over and asked “can I help you?” Explaining that I was the “everyday tourist” he quickly offered to get any of the teapots down for me to see more closely. 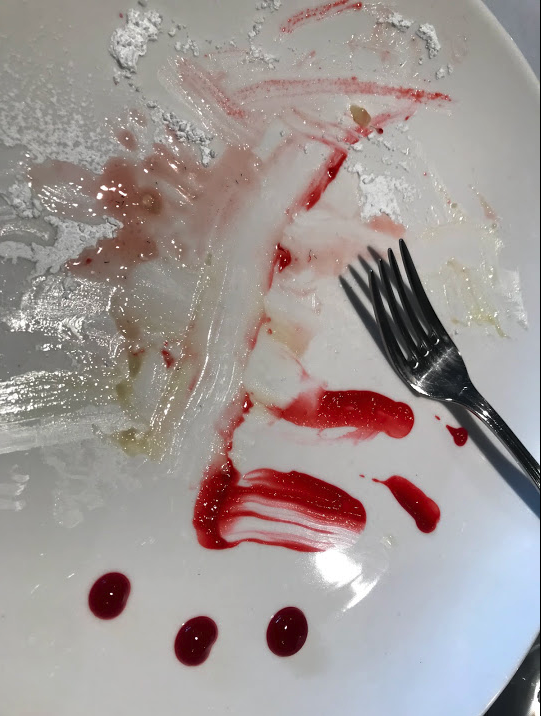 I took a few more pics, then sat down to enjoy my Western Skillet meal with a huge tasty biscuit with Saskatoon berry syrup for dipping on the side (take that you grit-loving Southerners). But not before, noticing the wall of teas, I asked if he had any Lapsang Souchong tea and he said of course. What was I thinking, they have 200+ varieties of tea – the biggest selection in Alberta they claim. 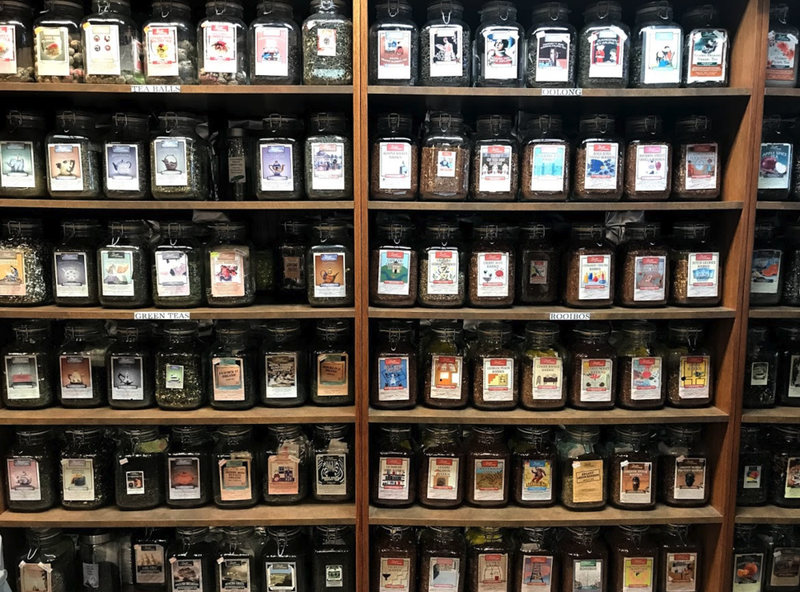 I asked about Tea Traders in Calgary, my favourite place to buy lapsang souchong and he said we probably have twice the selection. Turns out the Manager was also the owner, Glenn Simon, the son of the original owner who opened the restaurant in 1986. I also learned, the family owns the gift shop next door that was established by his Aunt Cindy (it use to be called Cindy’s Teapot Gallery & Gift shop). 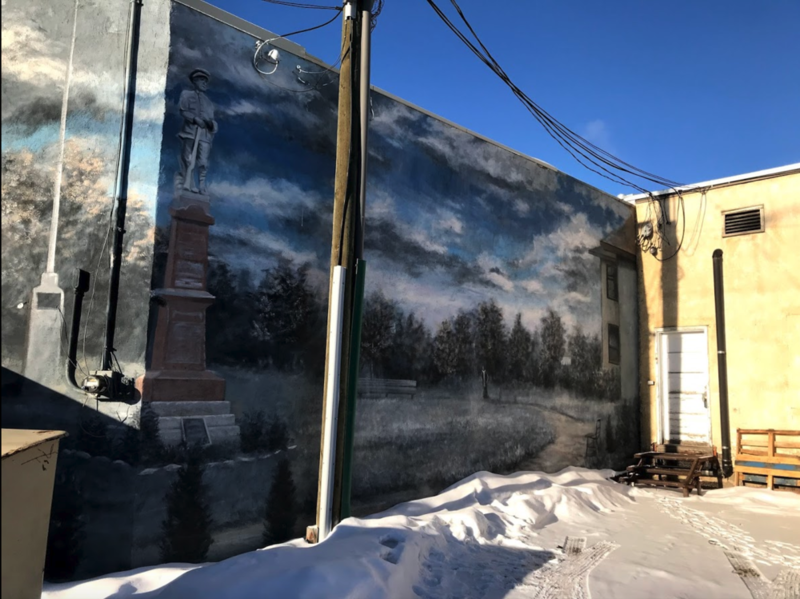 And, the Donut Mill two doors down (most Albertans living along the “Edmonton-Calgary Corridor” know it as the place with the huge windmill) is operated by Glenn’s son-in-law Parry Dyck, and daughter Michelle Dyck. There is truly a family affair happening on this stretch of gasoline alley! The walls around the restaurant are lined with shelves showcasing Glenn’s kitschy teapot collection. When I heard there were more teapots in the gift shop I had to check them out. Luckily my travel companions were also willing to come along for the fun. Wowsers! 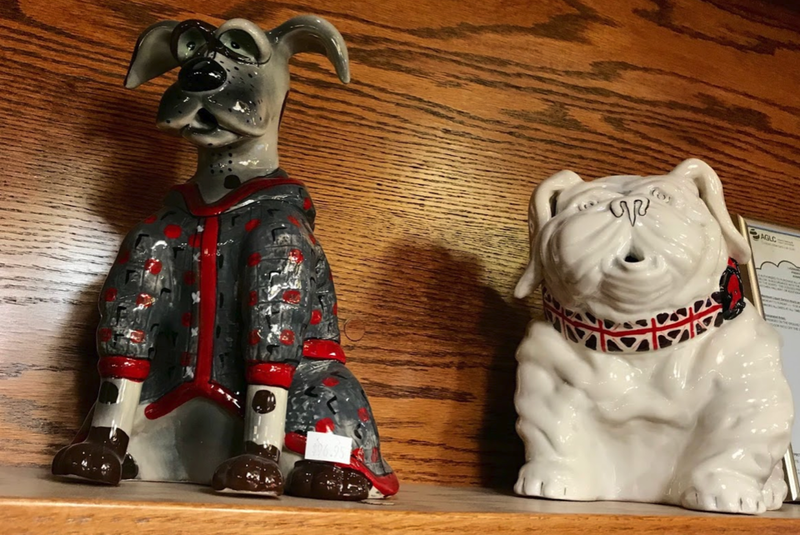 The place was packed from floor to ceiling with not only teapots, cups and saucers but everything from kitschy animal sculptures to Lug travel accessories. It was a kaleidoscope of the colours and shapes that almost hurt the eye. 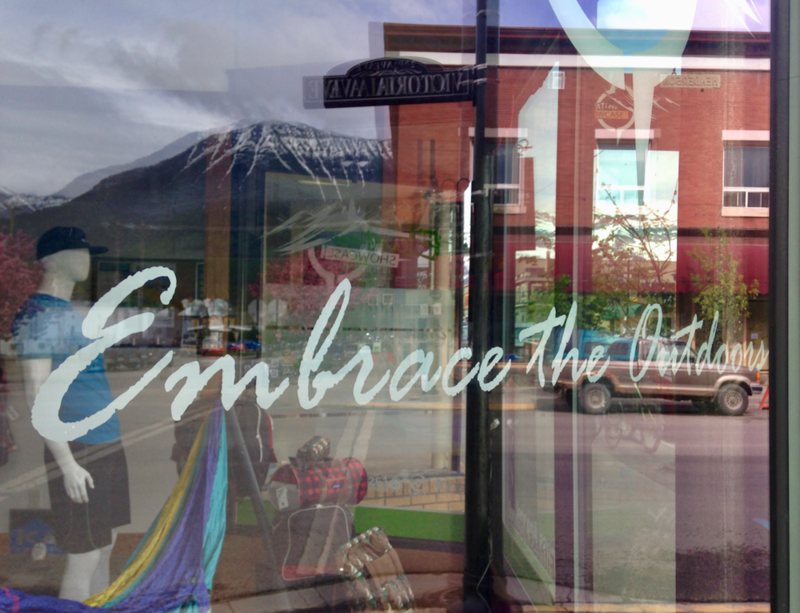 This is what you see upon entering Cindy’s…. I not sure who the target market is for this large hippo ornament. There are more Bolers and more teapots everywhere. Always look for the independent restaurant or retailer when you are travelling. You will almost always be rewarded with a fun experience.